Belgian Eurovision entry will be presented on a special Eurovision press conference on February 28 in the presence of singer Eliot and composer Pierre Dumoulin. After the announcement of San Marino RTV on Monday 21st, Serhat held today, January the 28th, a press conference for the local media, in the heart of Istanbul, at The Marmara Hotel, where he announced his participation in Eurovision 2019, with San Marino. It is the 10th anniversary of the participation of San Marino to the Eurovision song contest and Serhat proudly accepted the proposal of SMRTV, to represent the country, this year in Tel Aviv. 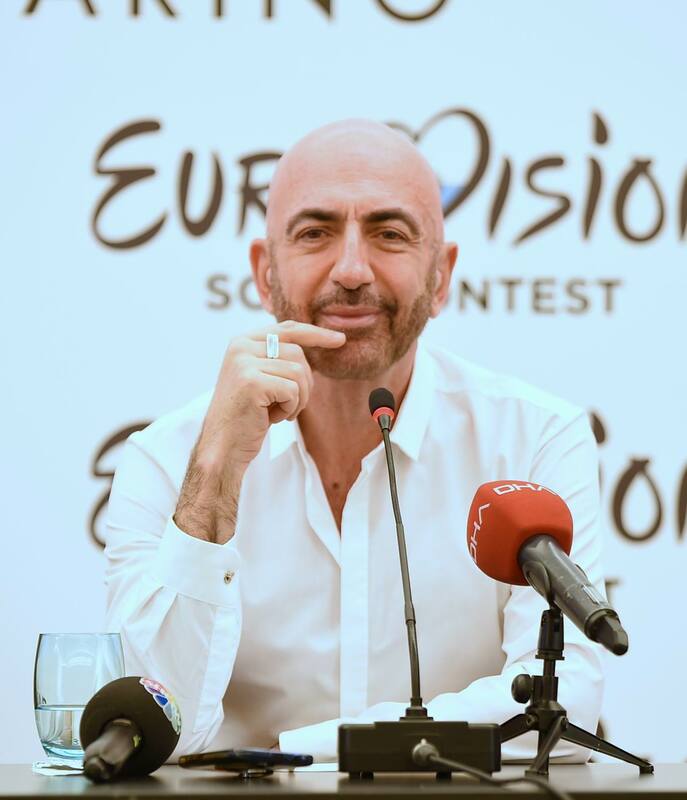 Serhat stated that it is a great honour for him to represent San Marino, as the experience he lived back in 2016 was of his best memories, and because of his trust and the strong friendship that was born with the sanmarinese ESC team, he is back to celebrate together, the 10th year of San Marino's participation to the contest. Serhat had a very warm welcome in San Marino, while he is fully embraced by the Turkish people. This year, he reveals that his song is full of positive energy, "a song that is ‘an open hug' to the world, to people, beyond borders". Having started the shootings for the video clip of his song, the journey to Eurovision for Serhat, has already begun! 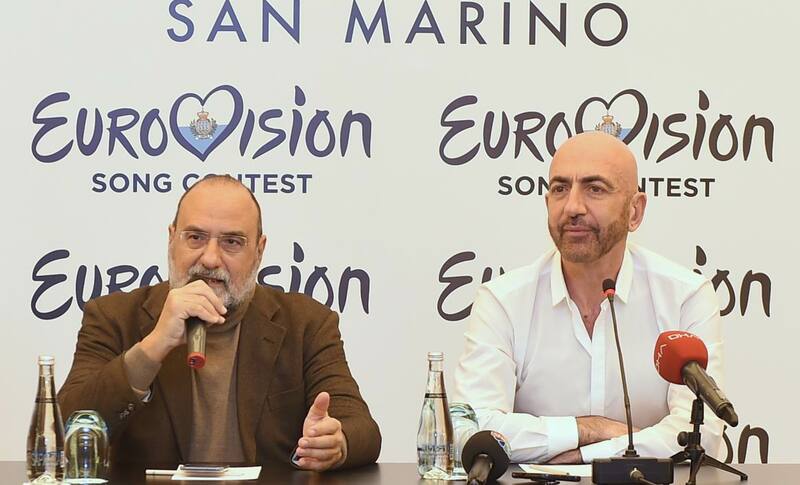 The Director General of SMRTV, Mr. Carlo Romeo, during his honorable presence at the press conference, underlined that Eurovision is important for San Marino. "Even though San Marino is a small country, we participate to Eurovision with a very big heart". The Republic of San Marino, despites its small territory, is standing strong and we are still among the Eurovision competitors. It is our 10th participating year, a round number, so we have evaluated thoroughly our Eurovision entries, and we realised that we try hard thus deserve an equal treatment. So this year, we ‘press the button of new decade' and we participate with a very talented singer, who we really believe in, and with a good song. As I said, Serhat has a particular emotional tie with San Marino. He is also a citizen of the world, and binding Istanbul, London and Paris to San Marino, is an additional value for a small reality as ours". Tel Aviv as a location, in a country which has always been friend to, points out the importance of the public broadcasters in the intercultural Dialogue for the culture of Peace". Mr. Romeo added: "Another considerable element was Serhat's commitment for a kind of television able to promote the dialogue among communities with strong tensions inside. He was able to do it and to do it very good in a delicate reality like the Greek and Turkish ones, underlining once again the crucial role of the broadcasters in this particular issue. Eurovision 2019, is a choice for friendship and Serhat's choice proves it. Friend, arkadas, amico, ami, freund, …..., in all languages that Serhat, with my humble envy, knows and uses". Today in Tel Aviv, the Semi-Final Allocation Draw for the 2019 Eurovision Song Contest has taken place. During the ceremony, the Deputy Mayor of Lisbon, Duare Cordeiro, passed on the Host City Insignia to Ron Huldai, Mayor of Tel Aviv. The Israeli city is now officially the Host City of the 2019 Eurovision Song Contest! Band Lake Malawi has been declared winners of Czech preselection ESCZ. They have tied with Barbora Mochova in the international jury vote, and prevailed in national public voting. Czech national broadcaster has confirmed that next year a televised national preselection will take place. Belteleradiocompany has received applications for the participation in the national Belarus preselection for the Eurovision Song Contest 2019 from the artists of 9 countries, reports Minsk News Agency. Within a week from the launch of submission period, 29 entries have been received from Belarus, Russia, Ukraine, Poland, Romania, Italy, Spain, UK, USA. The number of participants is still likely to increase, since the acceptance of applications will last until January 31. According to the conditions, citizens of different countries who have reached the age of 16 can participate in the competition. The list of applicants from Belarus includes both newcomers and participants from last years' qualifying rounds. In particular, Angelica Pushnova, Michael Soul (Mikhail Sosunov), band "PROvokatsiya". Michela Pace given huge welcome in Victoria by fans and supporters. Michela Pace,winner of Saturday night's X-Factor Malta, was given a huge welcome by her fans and supporters when she arrived in a packed St Francis Square on Sunday afternoon. 18-year old Michela, was greeted by the Minister for Gozo Justyne Caruana, who congratulated her on her wonderful achievement and the fact that she will be the ambassador of Malta in the Eurovision Song Contest, this May in Tel Aviv. Michela spent time signing lots of autographs and posing for photographs with her fans. Debby Group will be the company handling all public relations in regards to the Eurovision Song Contest assisting head of PR and dialogue of the Eurovision 2019 Sharon Ben David, appointed earlier. Company to handle the huge media event with the local and foreign media has been chosen via the tender, at which three companies have competed. Among other things, the winners will target audience analysis and prepare a work plan, and will work in cooperation with the international PR company PREMIER that works with the European Broadcasting Union. Debby Group is one of Israel's largest PR and strategy companies. It handles the March of the Living, the Prime Minister's Conference on Innovation, President Barack Obama's speech in Israel, the Genesis Prize and others. The special team for the Eurovision will be led by Debby Group CEO Aya Achimeir, and includes media consultant Ron Granot , the owner of the public relations firm Ron Granot Communications, and an international team. "We are very excited by the selection and proud to be the partners of the Eurovision Song Contest host broadcaster KAN," said Moshe Debby, Chairman and Founder of Debby Group. "Alongside the professional challenge of conducting an unprecedented media event in Israel, we are delighted to tell Europe and the world the story of Israel as a cultural center , vibrant and varied". After second round of tender for the security of the Eurovision Song Contest, the only company that has submitted its bid was disqualified, because it didn't reach high requirements. At the first round held earlier in December, no companies have applied. Following the failure of the first tender, the broadcasting corporation KAN has adapted some of the specifications, but even after the publication of the second tender, most of the major security companies in Israel refused to apply. Snippets of the entries competing in Slovenian preselection EMA - Eurovision Slovenia have been released. Kobi Marimi is candidate for eviction, performances of Avraham de Carvalho and Shalva Band will be broadcast in the next episode. 2. Teodora Dinu - "Skyscraper"
3. Dya and Lucian Colareza - "Without You (Sin ti)"
4. Claudiu Mirea - "We Are the Ones"
5. Bella Santiago - "Army of Love"
Announcement of the highest scores of the members of the international jury of the Czech preselection ESCZ has been completed. JOWST (Norway) and Ryan O'Shaughnessy (Ireland) gave their 12 points to the band Lake Malawi, which eventually has collected the most top marks from the jury. Also voting of the international fans will be counted as one jury member vote. Additional info: Czech Republic page. In the previews of the Melodifestivalen semi finals of 2019, Gustav Dahlander keeps on looking at the artists' own statistical descriptions of the entries. The artists were asked to grade their entry from 0 to 100 in the categories Tempo, Show, Humour, Odd and Dance. The first semi final will bring the highest compound value in three of the five main categories, namely Show, Humour and Odd. Gustav Dahlander continues publication on his Expert Blog of the artists' own statistical descriptions of the entries. 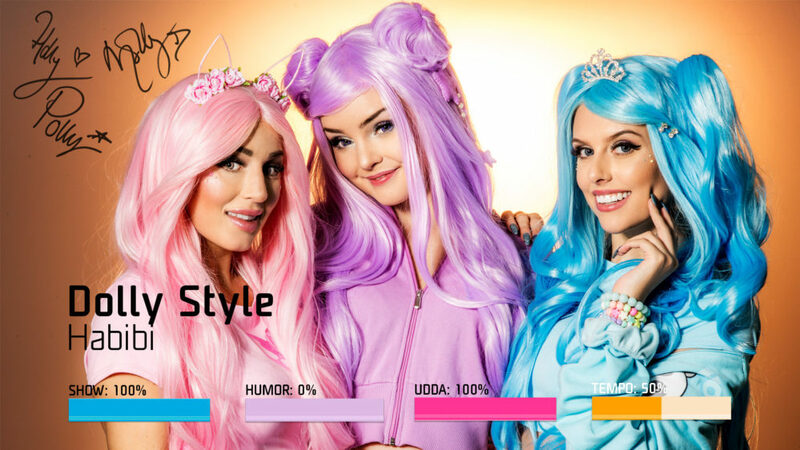 The Melodifestivalen 2019 artists were asked to grade their entry from 0 to 100 in the categories Tempo, Show, Humour, Odd and Dance. The second semi final will bring the highest compound value of Tempo and Dance this year. Also, in this semi final Margaret will have the highest Tempo and Humour (even with 52%) of any entry in the 2019 Melodifestivalen. Also, SVT has Mellosvepet - preview show to be broadcast from 31 January daily from Thursday to Sunday on Facebook and SVT Play. In it one will be able to get latest updates on the show preparations and behind the scene insights. 19:00-21:15, Georgia, Sakartvelos Varskvlavi, 4 show, online. Beso Nemsadze and Mariam Kakhelishvili are eliminated. Full show can be seen here. 19:30-21:40, Hungary, A Dal, 2 quaterfinal, online. Fatal Error, Acoustic Planet, The Middletonz, Bence Vavra and The Sign qualify on the decision of the jury, yesyes added by the viewers. You can watch the show again here. 20:00-22:00, Lithuania, 3 heat, online. To the semifinal have qualified: Jurijus, Monika Marija - "Criminal", Jurgis DID & Erica Jennings, Antikvariniai Kašpirovskio Dantys, Cheri, Jurgis Brūzga. Recording of the show is available here. 20:15-21:50, Israel, Hakokhav Haba, 27 show online. Daniel Mazuz is eliminated. Videos from the show are available here. 20:25-22:40, Latvia, Supernova, 1 quaterfinal, online. Laime Pilnīga (winners of the semifinal), Samanta Tīna, Edgars Kreilis, Aivo Oskis qualify to the final. Recording of the show is available here. 20:45-21:20, Iceland, Kynningarþáttur Söngvakeppninnar 2019, Songs presentation, online. You can watch the show again her. 20:50-, Malta, X Factor, Final, online. Michela Pace wins the show and will represent Malta at the Eurovision. Videos from the program can be seen here. 21:00-23:50, France, Destination Eurovision, Final, online. Bilal Hassani will represent France with "Roi". Videos from the final show are available here. One of the five participants of this year's Montevizija Andrea Demirović says that her first participation in the Eurovision was a great and stressful experience, and that the second time would be easier. This year she signed up for Montevizija because, according to her, she got a good song for which she wrote the lyrics. "It is very important for the song to be loved by the local audience," Demirović said. Additional information: Montenegro page. Icelandic broadcaster has officially revealed participants of the national preselection Söngvakeppnin. TV presentation will be held today at 20:45 CET. Participating songs will be available at ruv.is/songvakeppnin. Þórdís Imsland - Nú og hér / What are you waiting for? Friðrik Ómar - Hvað ef ég get ekki elskað? / What If I Can't Have Love? Show will be hosted by Þeir Fannar Sveinsson and Benedikt Valsson (Benni og Fannar), assisted in Greenroom by Björg Magnúsdóttir. Serhat, the singer who will represent San Marino on the stage of the Eurovision in Tel Aviv, was received in Palazzo Pubblico by Captains Regent during the private visit. He was accompanied by General Manager of the broadcaster Carlo Romeo and the Head of the Delegation Alessandro Capicchioni. For Serhat it was the opportunity to reiterate the pride of representing San Marino at the 64th edition of the event. "In San Marino I feel like home", said the singer, who took advantage of the scenery of Piazza della Libertà in the snow to take photographs of San Marino. Additional information: San Marino page. 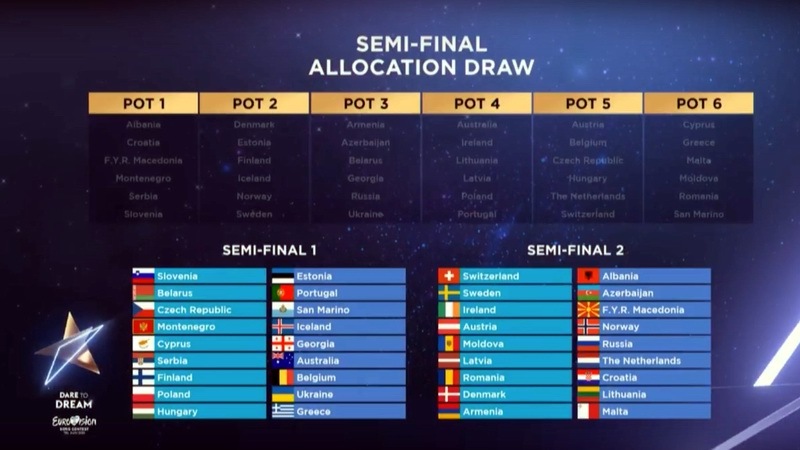 EBU has revealed the pots for the Semifinals Allocation draw to take place on Monday. Announcement of highest points by members of the international jury of Czech preselection ESCZ continues. Alma (France) gave 12 points to Barbora Mochowa, and Ari Ólafsson (Iceland) to the band Lake Malawi. The two last jurors' top points will be revealed on Sunday while during a Monday press conference, which starts at 14:30 CET, will be revealed complete results of the selection. Czech Additional information: Republic page. Tamara Todevska has been confirmed by MRT as the representative of Macedonia in the Eurovision 2019. She competed earlier in ESC 2008 with Vrcak and Adrian Gaxha and featured on backing vocals in ESC 2004 and 2014. Several composers are already making songs for Tamara and soon she with MRT team will choose the best and the one that corresponds to her style and vocal. The song will be presented in late February. "I hope to keep the image I built at domestic festivals, always being the second. If I've came back from Makfest and from the Skopje Festival with a second place, but with songs that have become big hits, surely I expect to be second at the Eurovision too, haha. But who knows, I might surprise the audience and win, "Tamara said, smiling. "I am happy and honored that MRTV has chosen me and I believe that the previous experiences from the Eurovision will help me, "added Tamara. Returning Head of Delegation of Azerbaijan Husniya Maharramova has appeared today on CVN TV to speak about Eurovision Song Contest preparations. She has stressed that performer, which will represent Azerbaijan at the ESC 2019 has no been elected yet. She says that comission will make its decision, but the most important for her would be the energy of the singer and that he will cope well with the nerves. When a decision is made the act will be presented to the public. She refused to name any particular acts attending auditions and in particular stated that news that choice will be made between Samira Afandiyeva, Tofig Hajiyev and Araz Humbatli as unfounded, reports 12xal blog. Austrian entry will be presented by Ö3 host and national selection scout Eberhard Forcher during program Ö3 Wecker on Tuesday, 29 January. Eurovision Austria reports, that the singer is female. Hyäne Fischer says her suitcases for Tel Aviv are already packed, with a lot of new material and some surprises. On New Year's Eve she has presented this acoustic version of her entry. You can listen to them in Spotify and on NRK site. Confirmed: Bar Refaeli, Erez Tal, Assi Azar and Lucy Ayoub will be sharing the honour to host the 64th Eurovision Song Contest this May in Tel Aviv, Israel. It is expected that the latter two will mostly have Greenroom duties and also will host Allocation Draw on Monday. Bar Refaeli is an international supermodel and is one of the first Israeli models to appear on the cover of the Sports Illustrated Swimsuit edition. She has a wealth of experience in presenting and broadcasting, having created her own model casting show Million Dollar Shooting Star in 2012. Along with a successful modelling career, Bar has also hosted several primetime TV shows, such as the Israeli version of The X Factor in 2013. Erez Tal has 25 years of broadcasting experience, having developed, produced and hosted a number of primetime hits, including ten seasons of the hit reality show Big Brother. Erez is also known for creating and hosting TV game-show The Vault, which has sold to 23 territories worldwide, making it the most successful Israeli game show format in the world. 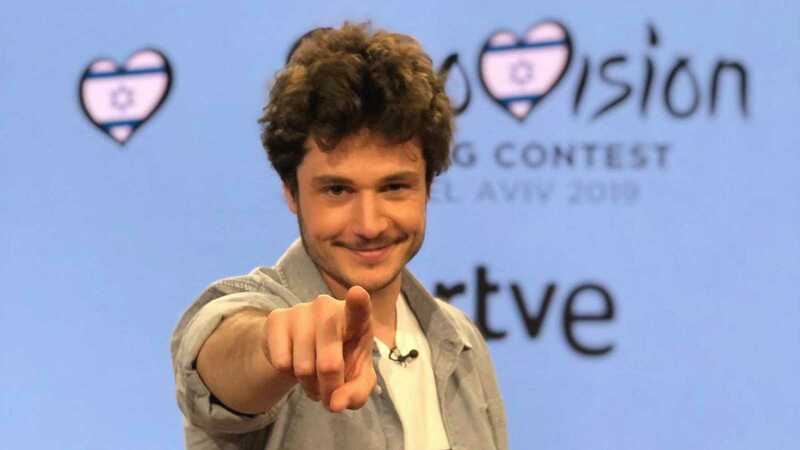 Erez featured as KAN's Eurovision commentator in 2018. Assi Azar is one of Israel's top television hosts and screenwriters, whose credits include hosting Israel's Rising Star, the national selection for the Eurovision Song Contest. OUT Magazine featured Assi in its global 100 Most Influential Gay People listing. Lucy Ayoub is Israel's most promising new talent, who rose to fame as increasingly influential YouTuber. She has grown to become a well-known TV host and delivered the results of the Israeli jury at the 2018 Eurovision Song Contest in Lisbon. The Semi-Finals of the 2019 Eurovision Song Contest will take place on the 14th and 16th of May, the Grand Final is scheduled for the 18th of May. Voting for the finalists of Georgian Idol Sakartvelos Varskvlavi is underway. You will receive message with an invitation to vote, you need to select first line "💃🕺 კონკურსანტები", to open the list of contestants. There click on the button under the name of contestant you want to vote for. You will receive another message with a photo of chosen contestant. There you need to click on first line "➡ მიეცი ხმა! ", to confirm your vote. It is possible to vote for free once every 12 hours. System will write when you will be able to submit your next vote. It is also possible to vote locally in Georgia via telephone of Geocell and Magticom providers in unlimited numbers, vote cost is 50 tetri. In the first round of liveshows, two contestants with least number of votes will be relegated. With all ten acts now confirmed for the first ever national selection show Eurovision – Australia Decides, SBS and production partner Blink TV have announced two more songs. Released today, Kate Miller-Heidke co-wrote Zero Gravity with her partner and music collaborator Keir Nuttall, while Australian rock legend Ella Hooper's song Data Dust was written by 24-year-old composer Alice Chance. Kate Miller-Heidke said: "Zero Gravity is an operatic pop song about coming out of depression. It uses the metaphor of a bad relationship to describe what it can feel like to be depressed. The choruses and the outro try to capture the feeling of transcendence. I love the double meaning of the word ‘gravity' - that the song can also be about leaving seriousness behind.". Ella Hooper said: "Data Dust is a powerful rock-pop feast, peppered with attitude. It is about digital addiction and the ever-creeping effects of social media on our lives, the power pop banger grabs the listener immediately. I am hoping to bring a bit of traditional rock n roll energy to a bombastic performance of a meaningful pop song." 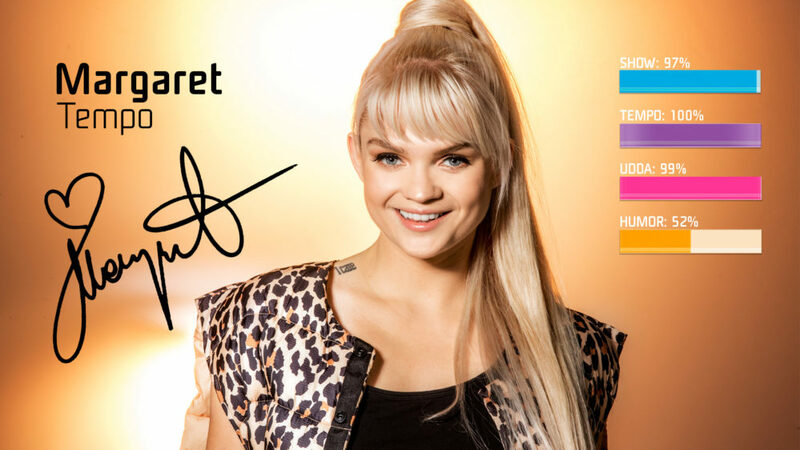 Alice Chance said: "It's a huge privilege for my song to have been fished out of a pool of over 700 to be included in Eurovision – Australia Decides. Data Dust spilled out of my brain one morning while I was going to work. Even though it all happened very quickly, the things I talk about in the song are important to me and I've been thinking about them for a while. I'm so chuffed that these ideas also resonated with the judges and I am quietly confident they will resonate with Australia as well. I've always dreamed of writing a song for our Australian representative. It's incredible to think I'm just one more step away from the fulfilment of this dream." Hosted on the Gold Coast and broadcast live and exclusively on SBS on Saturday 9 February, Eurovision – Australia Decides will showcase some of Australia's biggest acts, singing original compositions, for their chance to represent the country at the Eurovision Song Contest 2019. The final ten acts vying for their shot to represent Australia on the world's biggest stage are: award-winning artist Kate Miller-Heidke, much-loved indie pop band Sheppard, classical crossover artist Mark Vincent, modern electric-soul duo Electric Fields, legendary drag queen and reality television veteran Courtney Act, charismatic pop star Aydan, 16-year-old singer-songwriter Leea Nanos, rock music icon Ella Hooper, bona fide Aussie pop legend Tania Doko and The Voice winner Alfie Arcuri. With two weeks until show time, there are just two songs to be released by Sheppard and Tania Doko and special guest performances to be announced. Semifinals distribution draw will take place on Monday, 28 January at Tel Aviv Museum of Art. Event will be hosted by Assi Azar and Lucy Ayoub and broadcast from 18:00 on YouTube on the official Eurovision Song Contest and on Facebook of KAN broadcaster. The event will begin with the traditional Eurovision Song Contest insignia ceremony. 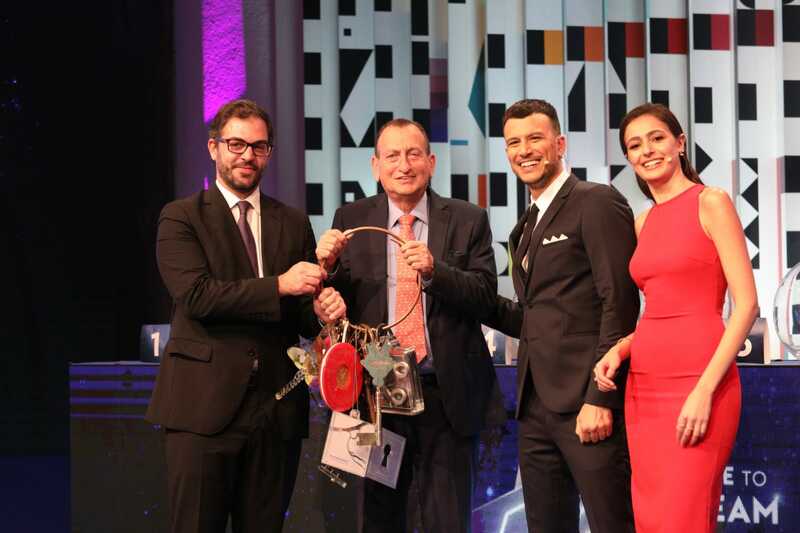 The deputy mayor of Lisbon, the host city of the Eurovision Song Contest last year, will pass it on to Ron Huldai, the mayor of Tel Aviv which hosts the Eurovision Song Contest 2019. On Thursday, dozens of Eurovision banners and flags were hung on Ibn Gabirol Street and along the promenade. Eurovision frames were also set up on the Aviv beach (next to the Manta Ray restaurant) and next to the Pisgat Zeev. 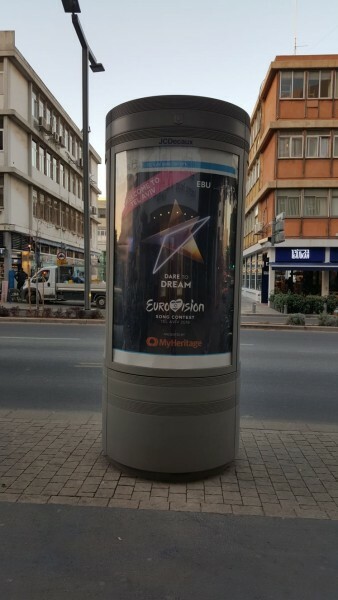 In addition, the municipality is working on a number of additional branding ideas for the Eurovision Song Contest, which will be revealed later. As earlier reported, location for the draw has been changed to Tel Aviv Museum of Art, and thus Red Carpet ceremony (May 12) was also moved to Habima Square and Habima Theater, which is not strange considering that Moshe Kepten - artistic director of Habima Theater is responsible for the ceremony concept. 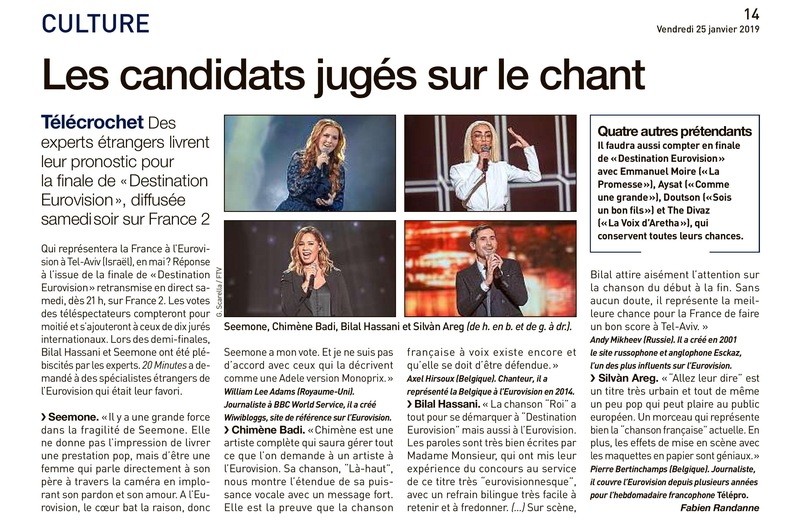 The most read French free newspaper 20 Minutes has asked Eurovision experts to name their favourites in the French preselection Destination Eurovision. William Lee Adams (UK, BBC World Service/Wiwibloggs): Seemone - "Tous les deux"
Andy Mikheev (Russia, ESCKAZ): Bilal Hassani - "Roi"
Axel Hirsoux (Belgium, representative at Eurovision 2014): Chimène Badi - "Là Haut"
Pierre Bertinchamps (Belgium, Télépro): Silvàn Areg - "Allez leur dire"
Complete results of the voting are available on 20minutes.fr. Aneta Andonova, editor-in-chief of MRT1 has stated in an interview to Nova Makedonija that changes are expected in the way representative for the Eurovision is selected. "Eurovision contest as well as representation of Macedonia in any sphere, is something that inspires but at the same time burdens us. As a public service, we are obliged to report to the public. MRT is the holder of the license because it is a manifestation of the public services - members of the EBU, but the representative is the one that represents the state. I would like to apologize that we are discussing a lot, debating on that topic both at program meetings and with experts and the public. No flat rate decisions and conclusions are made. Therefore, I ask the public to give the public service a chance, the Eurovision team, which will certainly have changes, the concept, which will soon be communicated to the public"
Participating entries of Icelandic preselection Söngvakeppnin will be revealed this Saturday at 19:45 local time at TV special "Kynningarþáttur Söngvakeppninnar 2019" on RÚV 1. After it, songs will be published on RÚV website as well as Youtube and Spotify. Semifinal broadcasts will be preceded by warm-up show #12Stig on Fridays at 19:40 on RÚV 1. From the five song competing in each semifinal on 9 and 16 February, a combination of public votes and the expert judging panel will see two of the songs head into the final. Organisers reserve the right to introduce a “wild card” entry to the final in addition to the four semi-final winners. For the final show, a ten-person, international panel of expert judges will be introduced, who will give their opinions and their points, alongside the public vote. For the superfinal, top two acts will keep their votes from the first performance of the night. The name of the special guest for the final of the competiion in Laugardalshöll on March 2 will be named on 29 January, a day before the launch of ticket sales. Design of the stage of the contest has been developed by Alfreð Sturlu Böðvarssyni, Inga Bekk, Karli Sigurðssyni and Vigni Erni Ágústssyni. The set will contain both 103 m² LED screens and 350 LED lights. 11 cameras will be used for the broadcast, as well as Autocue pilot for authomatic cameras programming and Audio voices program transmitting 24 channels for the sound control. Voting for the finalists of Georgian Idol Sakartvelos Varskvlavi will go underway on January 25, at 12:00 am local time. To vote one should go to Georgian Idol Facebook page and opening the Messenger select favourite contestant and then click on Vote. One can vote for free once every 12 hours. One can also vote via telephone from Geocell and Magticom in unlimited numbers, call price is 50 tetri. In the first round two acts with the least number of votes will leave the show. 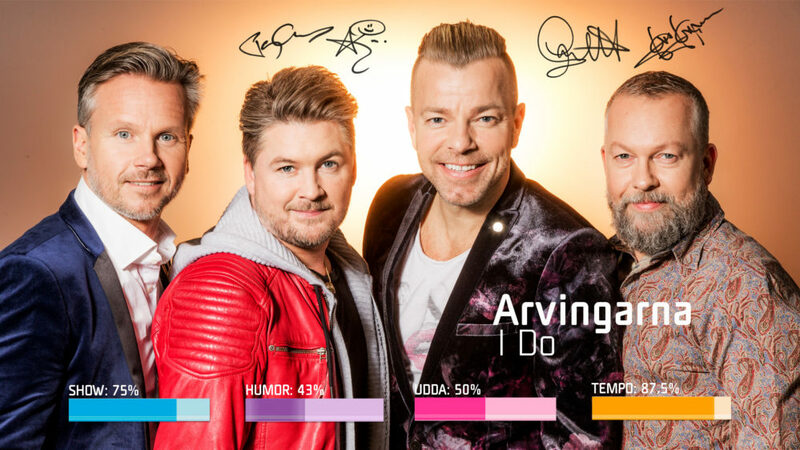 In the previews of the Melodifestivalen semi finals of 2019 for the Gustav Dahlander's Expert Blog, competing artists were invited to grade their entry from 0 to 100 in the categories Tempo, Show, Humor, Odd and Dance. Two more sets of the highest scores announced for Czech preselection ESCZ. Estonian Elina Nechayeva gave 12 points to Lake Malawi (their 2nd highest score) and Hungarian AWS to Andrea Holá. In the Moscow VI Studio started the work on the vocal track of what is believed to be potential Russian entry at the Eurovision Song Contest 2019. For couple of days to Moscow has arrived vocal coach Alex Panayi, who already on Saturday will be member of the international jury of French preselection Destination Eurovision. 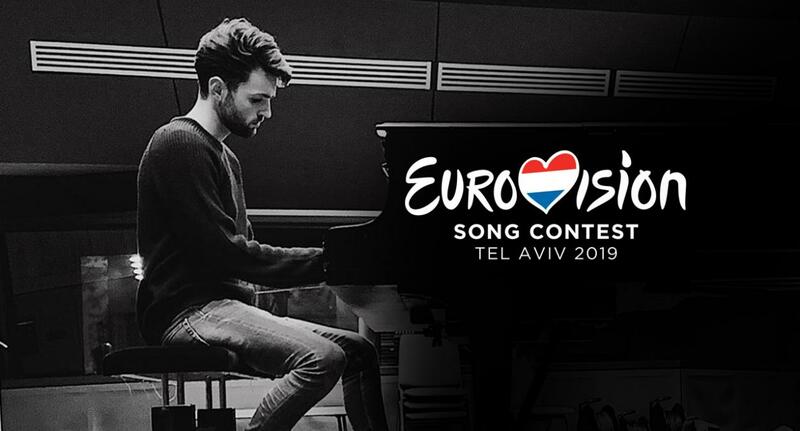 What song representative of The Netherlands Duncan Laurence will perform at the Eurovision 2019 in Tel Aviv? AVROTROS has presented the performer, but has not mentioned anything about the song - who are its songwriters and whether Duncan himself was involved in its creation; what will be its style - will it be dance, as earlier rumoured, country - as many of the recent Dutch entries, or singer/songwriter? Currently there are two popular rumours of the possible songs. Shortly before announcement of the representative, from the internet was deleted video of live performance of Duncan with "I Miss You". 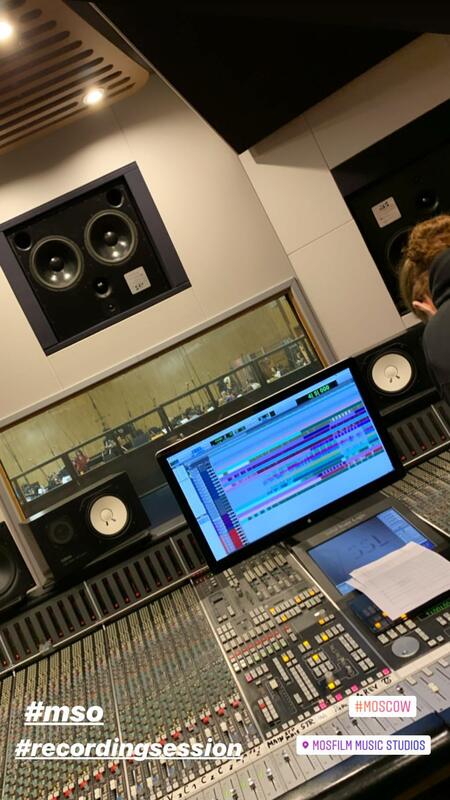 Allegedly, Duncan has performed the song as his graduation assignment at Rock Academy in Tilburg, and video was published before 1 September 2018. Some fans came to the conclusion that deletion of the song means it is the song for the Eurovision Song Contest. UPDATE: AVROTROS has confirmed that this is not the Eurovision entry. In the GEMA database was discovered song of Duncan De Moor "Closer To The Heart". Its performer is listed Duncan Laurance (sic!). Among its songwriters is a DJ, so some also assumed it may be the contest entry. Complete credits: Duncan De Moor, Alex Vasi, Carlota Van De Logt, published by Temazo Music / MusicAllStars BV/ SONY/ATV Music Publishing BV. It is worth to mention that database has plenty of other De Moor's songs, which possibly are being prepared by the singer for his debut album/EP. But none of these songs lists Laurence or Laurance as a performer. Zion, War (Henri Kooreneef, Duncan De Moor), Fools Gold (Duncan De Moor, Joel Nils Anders Sjoo, Andreas Kristofer Soederlund). Kids (Duncan De Moor, Nina Machteld Sampermans, Jonathan Tan), Ice Age (Michael Conn, William Douglas Burr Knox, Duncan De Moor), Where Is Your Love, The Woods, Rain, Chasing Satellites (William Douglas Burr Knox, Duncan De Moor), Adrenaline (Duncan De Moor, Katya Anna-Marie Edwards, Lanre Odunlami), Kingston Girl (Daniel Urban Barkman, Daniel Bjorn Gibson, Henri Kooreneef, Duncan De Moor), Rich (Sjoerd De Buck, Duncan De Moor, Robin Van Loenen), Arcade (Duncan De Moor, Wouter Hardy, Joel Nils Anders Sjoo). The Additional information: Netherlands page. Around 300 entries have been received by Armenian Public Television for the participation in the Eurovision 2019. "Can you imagine with what kind of heartbeat and how impatiently I was waiting for the entries? And now I find it difficult to describe the words, how grateful I am to everyone that have thought about me and wrote songs for me me. Of the hundreds of applications received, I have several favorite songs between which I have to make a choice. Our team needs some time to make the final decision and present the Eurovision Song to my beloved fans. I am very impatient, and I hope you are too, "said Srbuk. Azerbaijani public broadcaster Ictimai begins search for the song that will represent country at the Eurovision 2019. Songs, following basic Eurovision rules, should be submitted in mp3 format to eurovision2019@gmail.com from until February 7, 2019. Submission should also include information about songwriters. Popular actress Ajda Smrekar will host Slovenian preselection EMA 2019. "EMA has always been a special event for me that has gathered all generations together and pinned us in front of the television screens. The very idea that this year I will host the EMA accelerates my heartbeat. This evening will be special for me, because I will not play any role of the stage, but I will be tasked with driving viewers through evening where we will choose the best among ten different and colorful songs and accompany it with pride to the promised land"
Band D moll will be performing song Ti at the Montenegrin preselection Montevizija. Members of the band are: Tamara Vujačić (16), Mirela Ljumić (17), Željko Vukčević (18) from Podgorice, Ivana Obradović (18), Emel Franca (18) from Bijelo Polje and Rizo Feratović from Gusinje. Mirela Ljumić says: "The idea to take part in Eurovision preselection was of ​​our mentor Danijel Alibabić (No Name), who decided to get us together. We have accepted this and we are very happy, now we are working on the preparations". She found out that they have qualified to the finals in the classroom. "When the message arrived, I just screamed. I was in shock," she said. The song that will be presented is a love ballad and is called "Ti", but the song will be performed in English. "It is a ballad, and as it moves it grows dynamically, it's a joyful love song, we try to make for the audience something different, we will sing in English, but there is a version in our language as well," says Tamara Vujačić. Rizo Feratović says the song is emotional. "We want to wake people's emotions"
Members of D moll want to show that they are all different and hope to get the opportunity to present Montenegro country in the best way. Sasha Song has blamed producer for failing to appear in the heat of the Lithuanian preselection. He was due to perform in a duet with Dovile and a song Bad Boy. "It is a pity, but I had to leave because of the reasons not in my power - I didn't get the track with the right arrangement from the producer at the agreed time. In addition, I received only music with the voice, something I could not use on the Eurovision stage. In such an important event as Eurovision, I wanted to participate not only in creating a show that I was prepared for, but also able to give the listener the highest quality music. Unfortunately, I do not want to participate to get the average score. So I had to leave"
Recall, that the artist was fined 2000 Euros in accordance with the rules of the competition. Italian website Eurofestival news has collected reviews of the journalists who earlier had a chance to get exclusive listen of the songs competing in Sanremo 2019, and converted their remarks to three tier system: positive (7+), neutral (6-6.5) and negative (5.5-). 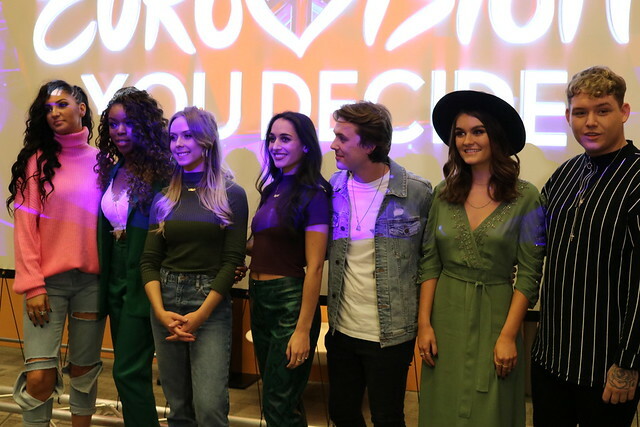 The Eurovision season started in the UK today with the reveal of the acts and songs taking part in this year's national final BBC Eurovision: You Decide on 8th February in Salford. Some interesting things came up in the interviews, Holly Tandy might burst into singing the Wizard of Oz songs on stage, Michael Rice talks for England!, Anisa is a songwriter with her head in the right place, Kerrie-Anne used to teach primary school kids, Jordan Clarke is a fan of Beauty and the Beast and MAID are missing Miracle. The biggest music extravaganza on the planet returns in May 2019 and the time has come to choose the song and act that will be heading to Tel Aviv to represent the United Kingdom at the Eurovision Song Contest 2019. Self-confessed super fan Mel Giedroyc and former Eurovision winner Måns Zelmerlöw will be hosting Eurovision: You Decide live from Salford on Friday 8th February 2019 at 7.30pm on BBC Two. This year Eurovision: You Decide will feature a brand new format where three songs will be performed by six different acts. 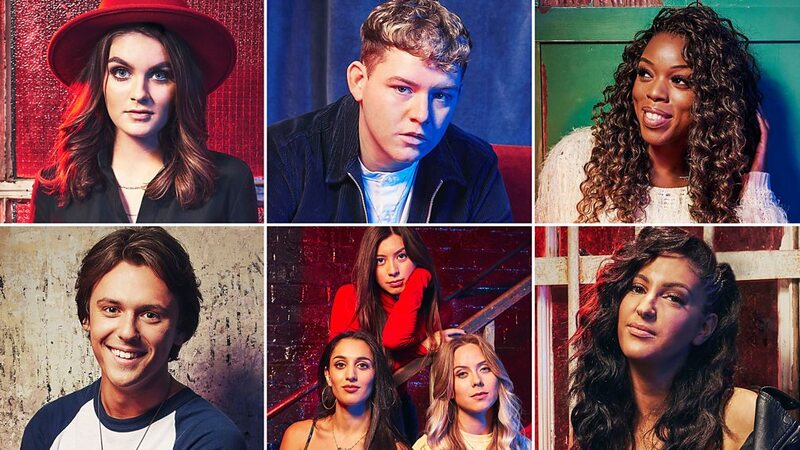 Via public song submission and Eurovision song writing camps held by Music Consultant Greig Watts, 10 songs were shortlisted and were given to an international jury of music experts who chose the final 3 songs to put forward to the show. Each of the three songs will be performed in two musically different ways, by two different acts. 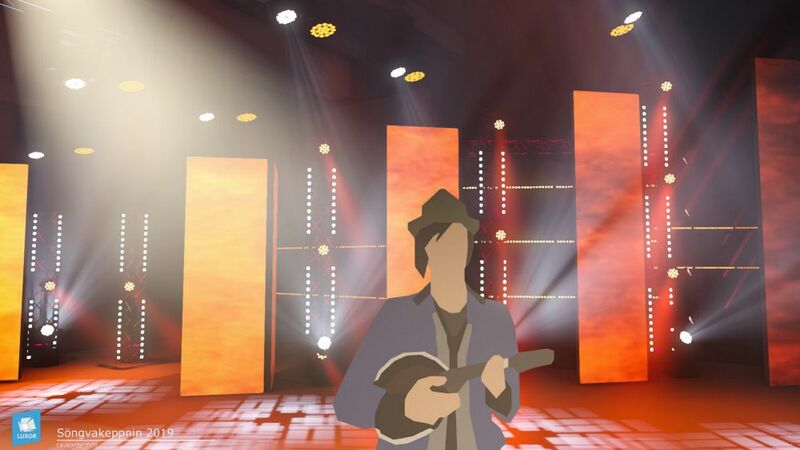 The first part of the show will see three rounds of the "Song-Off". After all six acts have performed the expert judges will decide which three acts and version of each song will go forward to face the public vote. 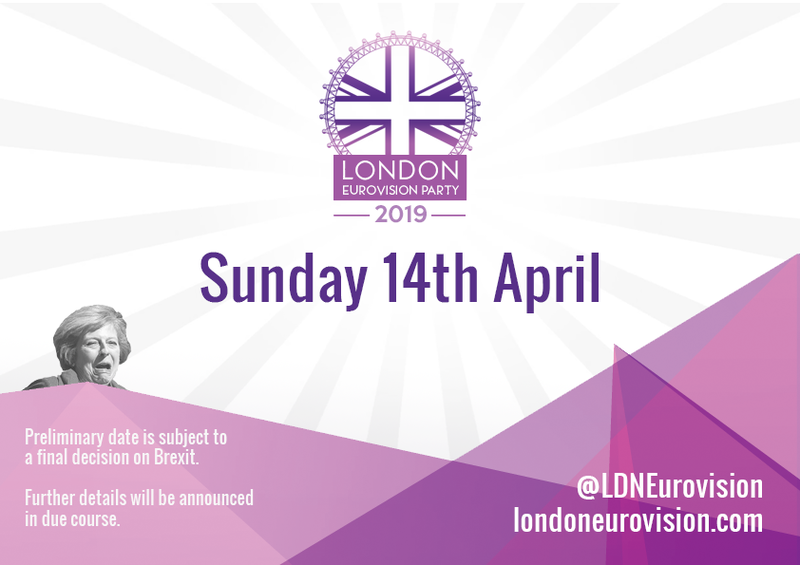 The three final acts will then perform one more time before the voting lines are opened as the public chooses which song and performer will represent the United Kingdom at the Eurovision Song Contest 2019. Votes can be cast by calling the number that will appear on screen during the show or via bbc.co.uk/eurovision. Viewers voting online must ensure they are signed in with their BBC account. There will also be an exciting live music performance from You Decide host and Eurovision 2015 winner Måns Zelmerlöw, as well as lots more surprises on the night. BBC Radio 2's Ken Bruce will be broadcasting his show live from Salford, chatting to all six contestants ahead of their performances that night. He'll also catch up with hosts Mel and Måns to find out how rehearsals are going and what viewers can expect from this year's competition. Eurovision: You Decide 2019 will be bigger and better than ever before. According to the artists themselves, Semifinal 4 is the one with the lowest tempo, the least show, least degree of humor, least odd contributions and least dance. Sasha Song, who has not appeared for the filming of the 4th heat of Lithuanian preselection, was fined 2,000 EUR. Performer did not contact organizers to inform on the reasons of his withdrawal. According to the preselection rules, if the performer fails to attend the rehearsals, recordings or broadcasts of the selection shows without the documents proving an important cause (illness, loss of relative etc. ), LRT has the right remove the artist from the competition and impose a fine of EUR 2,000. Swiss ZiBBZ awarded 12 points to Barbora Mochowa (who now has 3 top scores) and Maltese Ira Losco gave 12 points to Lake Malawi. The X Factor UK 2018 winner Dalton Harris will be the special guest during this Saturday's final of The X Factor Malta. TVM has launched a call for the participation in the second season of the project. Interested artists, aged over 15, can apply via WhatsApp 99202019, sending a message with Name, Surname, Age, Email and one clip (up to 1 minute) of singing. Composer Dimitris Kontopoulos has published in his social network account images from the recording session with Moscow Symphony Orchestra at Mosfilm Music Studio. "It was a good day indeed .. thank you 🙏🏻 #moscowsymphonyorchestra #moscow #russia #mosfilm #mso #day1", he wrote. Earlier, music journalist of MK newspaper Artur Gasparyan reported that for Sergey Lazarev's Eurovision 2019 entry Dream Team has prepared "superballad, something grand and epic, so that there was a need to involve a complete symphony orchestra in the recording". "On January 10 the song submission period came to an end. After that, we've listened to the songs in a few stages because they were too many, and we could not hear them all in one day. We have received songs from different countries around the world. I must say that Armenian composers were more active this year and we are really grateful to all those who have provided time and sent us songs. We have received different kinds of songs, both dance and ballads. Srbuk will record some of the shortlisted ones so that we understand which ones are more suitable for her voice. The final decision will be made soon. We are very happy with the process. From the very beginning it has been very active. 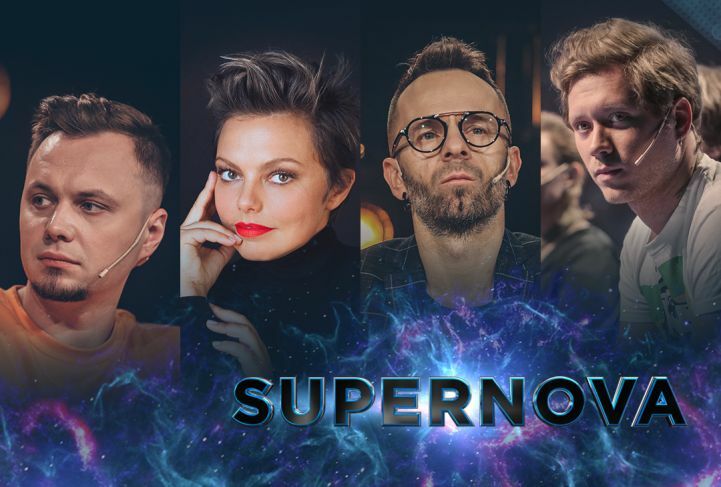 Composers' activity is even more exciting both to Srbuk and to us"
TVP Poland has published the rules for the internal selection for the act to represent country at the Eurovision 2019 in Tel Aviv. Entries, which follow all main Eurovision rules, are being accepted until 5 February. There is no nationality restriction for performers or songwriters. Entries should be submitted in mp3 format along with a signed and scanned entry form to eurowizja@tvp.pl , attaching also promotional photos of the performer(s). Winner wil be chosen by the Contest committee appointed by TVP, which has the right to set up a live audition for shortlisted acts. TVP will announce chosen entry no later than February 8, 2019. Polish representative undertakes to deliver by the latest on March 5, 2019 a music video for his entry. Miki: "Eurovision brings together my two passions: music and travel"
RTVE has hosted online-conference for the winner of the national final Miki. Press-conference was also attended by Adriá Salas, author of "La venda" and Ana Bordás, head of the Spanish delegation. "The only phrase that comes to my mind now is to enjoy, enjoy everything that comes in. I also think it is an experience that in the coming months will combine my two passions: music and travel," explained the singer during the press conference. Although the team that will be in charge of the staging of "La venda" at the Eurovision was not yet determined, Miki has said that he imagines staging to be "very close to the public to convey that joy and festivity that the song has." Songwriter Adriá Salas, has explained that the lyrics speak about "a moment we live in, where everyone thinks about himself and there are great prejudices. The song goes towards a personal growth, in which you get rid of those social prejudices, you go removing bandages to be free". Speaking to Eurovision-Spain, composer stated that the team is going to improve the level of the sound of the song and make it look better. "I have several ideas, more melodic than arrangements, changes of vocal that could be made... We have to look onto many things, because the most important is that Miki feels comfortable.". After 15 years at the group La Pegatina, Eurovision is a new challenge for Adriá, leader of the band. "People have been writing to me for many years saying that we should go to Eurovision, but I think we are not in the right moment, now we are doing concerts all over the world and it is not the time to compete, but to see the bulls from the barrier... I love it more! I write a lot of songs, and when they called me to ask if I wanted to send one for the Contest, I immediately agreed, and I think the choice of "La Venda" for the Eurovision is also an acknowledgment that our music should sound on the radios.". In addition to preparing his candidacy for the Eurovision, Miki has revealed that he is already working on what will be his debut album, and that he is composing with Alfred García, Nil Molines and Arnau Griso. Watch the complete press-conference here. Only 1,892,000 viewers (share of 11.6%) watched the OT 2018 Eurovisión Gala on La 1. This is a drop of 1,194,000 viewers over the selection of last year and is the lowest share for any OT Gala this season. 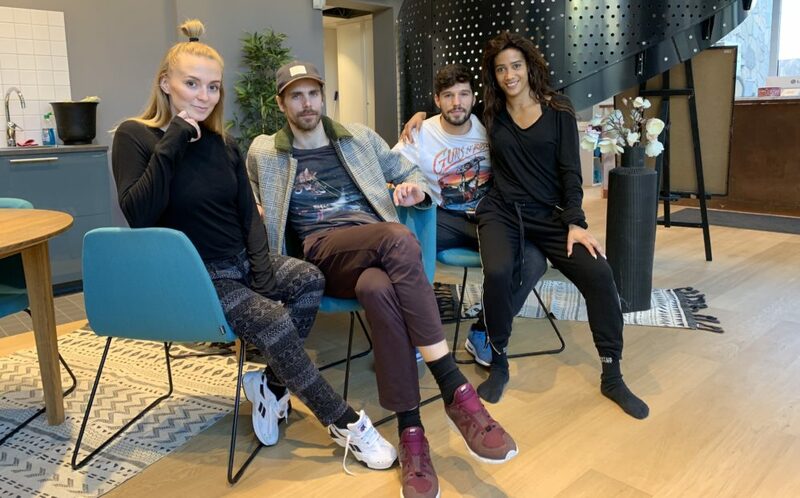 The 2019 Melodifestivalen in-house dancers are Edin Jusuframic, Daniel Koivunen, Felicia Maurice and Ann Mirro. The in-house dancers are available for the competing entries as well as opening and interval acts and will be seen a lot during the Melodifestivalen tour. Edin Jusuframic returns to the role for a fourth run after previously being in the team from 2015 to 2017, voted Dancer of the Year in 2015 and 2017. Daniel Koivunen was an in-house dancer in 2016 and 2018, and was voted Dancer of the Year in 2013 and 2018. Ann Mirro and Felicia Maurice was first seen as backing dancers in Melodifestivalen 2018, where Felicia did a memorable performance when one of Jessica Andersson's dancers fell ill. With only a few hours to go before the live broadcast, Felicia rehearsed the choreography of ”Party Voice” and helped Jessica gain a place in the final. Ann Mirro made an appearance last year as dancer in Moncho's "Cuba Libre". The Melodifestivalen 2019 will be the third year in a row without any official in-house choir. Dea Norberg, Emelie Fjällström and Lars Säfsund are expected to feature in several performances, while choir veteran Britta Bergström will be making her comeback as well. Missed them? Mikko Silvennoinen and Krista Siegfrids will host Finnish show UMK. Name of the representative of Finland will be revealed on 29 January, and UMK show will take place on 2 March. 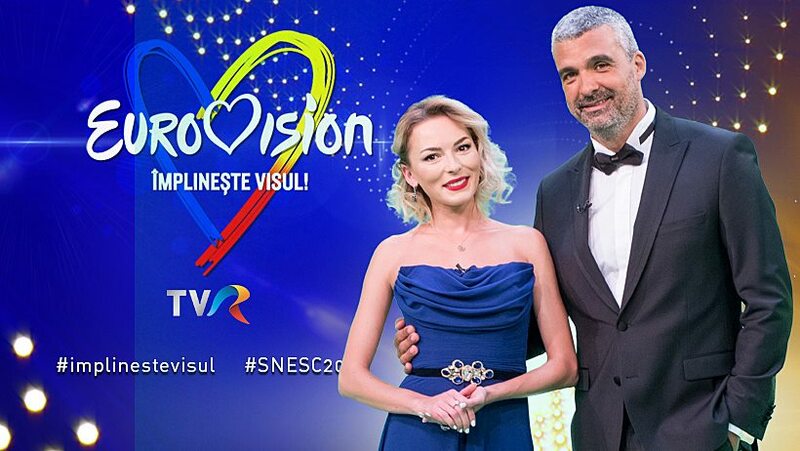 Aurelian Temișan and Ilinca Avram will present Eurovision Romania shows. The well-known artist and TVR star will repeat the experience of the Golden Stag International Festival, where they presented the Anniversary Gala. "After a few entries in the National Selection, here I am again in the middle of the Eurovision Song Contest, this time as a presenter. I missed this event and I want to see how artists feel, not being involved in the competition, "Aurelian Temișan said. "I am happy and honored to have received this proposal. Eurovision is one of the most popular contests in the world and it is a great challenge to be part of this exceptional event", said Ilinca Avram. Organizers of Czech Republic preselection ESCZ have revealed that first 12 points from members of the international jury Cesár Sampson and Rasmussen were received by Barbora Mochowa and her song True Colors. Voting results will be revealed daily at 18:00 and 20:00 CET, except for Saturday. Winner of the preselection will become known on 28 January. Running order of Estonian Eesti Laul semifinals was revealed today at the meeting of the participants with the organizers in the ERR Press Room. Producer of the show, Tomi Rahula, also confirmed that Maarja-Liis Ilus will appear as guest of the first semifinal. 1. Synne Valtri "I'll Do It My Way"
5. Cätlin Mägi & Jaan Pehk "Parmumäng"
7. Kaia Tamm "Wo sind die Katzen?" 8. Kerli Kivilaan "Cold Love"
9. Grete Paia "Kui isegi kaotan"
12. 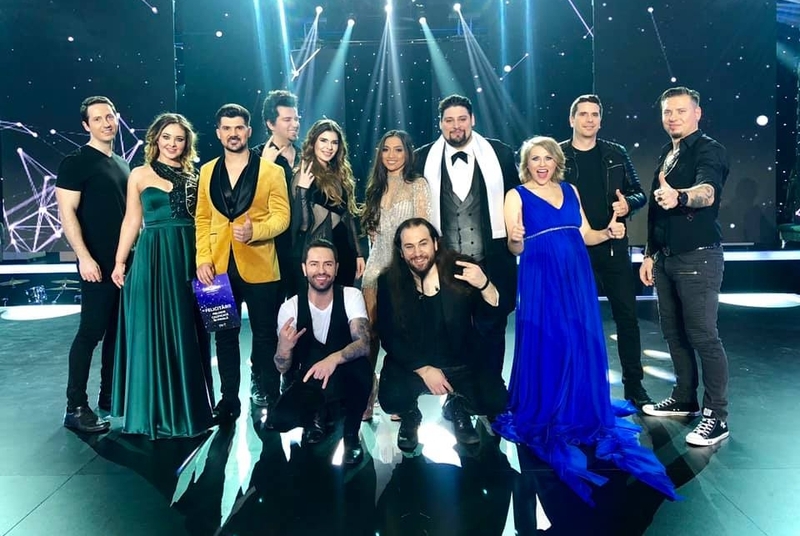 Uku Suviste "Pretty Little Liar"
28 songs competing in Moldovan Eurovision preselection O Melodie Pentru Europa have been published by the broadcaster TRM on its Youtube channel. Live auditions will be held on February 2, 12:00, in Studio 2 of Moldova 1. There a jury of professionals will assess the competitors' vocal performance. Auditions will be streamed online on TRM.MD. 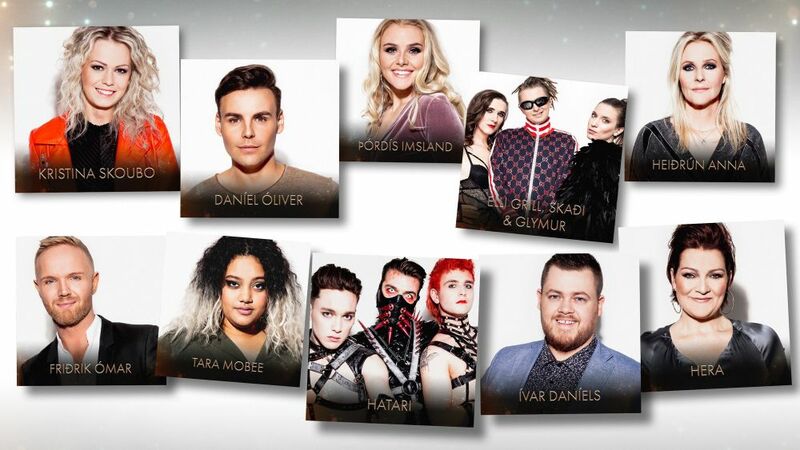 The 10 finalists who will be competing in the Norwegian national selection for Eurovision (MGP) on March 2nd, will be announced at a press conference in Oslo Friday January 25th at 12.30 PM Oslo time. The press conference will be led by the MGP hosts Heidi Ruud Ellingsen and Kåre Magnus Bergh. Press-conference will be broadcast online on NRK website. All songs will be available for streaming at 2 PM Friday. The 10 finalists of Dansk Melodi Grand Prix 2019 will be revealed at a press-conference at DR Concert Hall in Copenhagen on Thursday 31 January at 13:00 CET. The event will be hosted by DMGP hosts Kristian Gintberg and Johannes Nymark. The ten participating entries will also be presented during the press conference and will be available on all digital platforms on the following day. STB reveals there will be no hour long voting break in the National preselection broadcasts this year. Nadiya Matveeva is appointed as the backstage host. 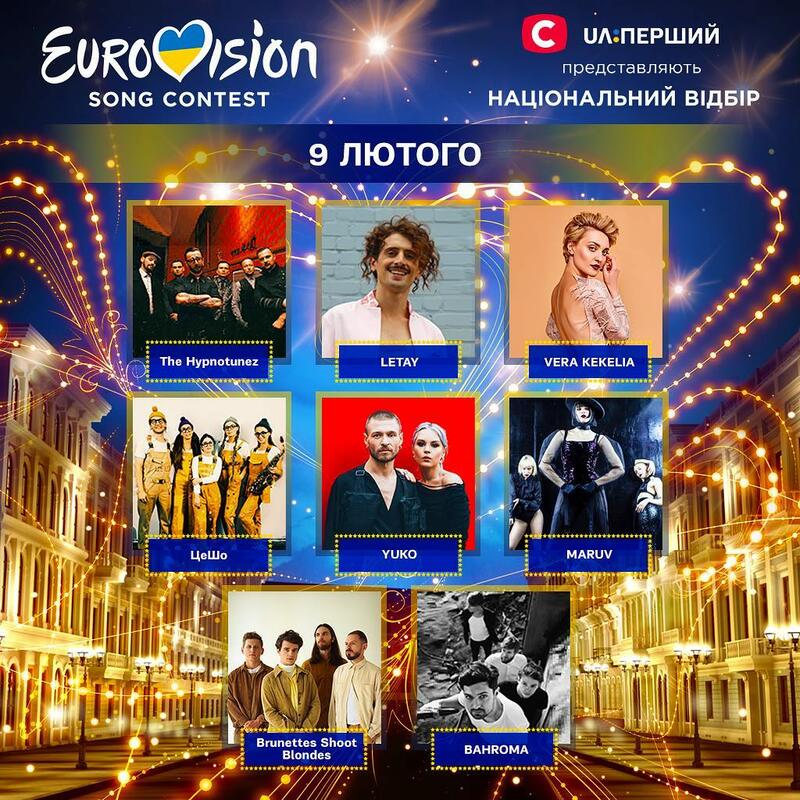 On Saturday, February 9, live on TV channels STB and UA:Pershiy starts the main musical event of the year - the National Selection for Eurovision 2019. Traditionally, in parallel with television broadcast, in HD quality and with unique content during commercial breaks on the official pages of STB on Facebook, Youtube and the website will be broadcast live backstage reports hosted by Nadiya Matveeva. The duration of the backstage broadcast in each live show will be 1 hour - these are four advertising blocks of 15 minutes each, including a voting break. "This year we will not have an hour long break. As practice has shown, a whole hour is not needed, since the desire to support the participant arises in the first 12-15 minutes of the voting break. Then we get 100% of the votes. Judges also clearly understand who is their favorite today, therefore, it is also not difficult for them to give marks more quickly, "explaines producer of the show Natalya Franchuk. 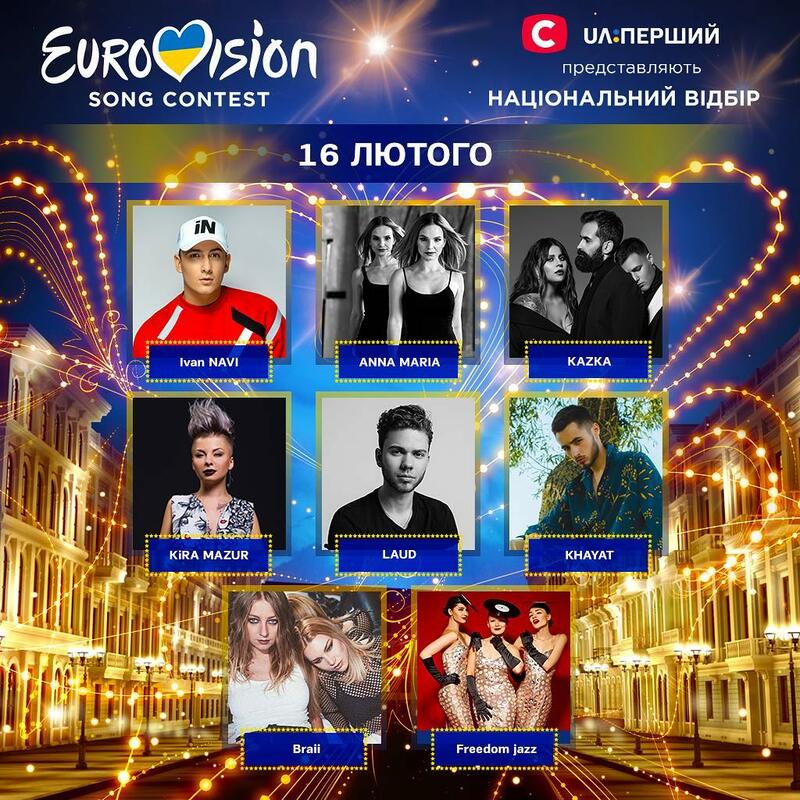 Belteleradiocompany has launched process of the national Belarus preselection for the Eurovision Song Contest 2019. The project is being organized by the National State TV and Radio Company of the Republic of Belarus (organizer) and the Ministry of Culture of the Republic of Belarus (co-organizer). Applications from those who is interested to represent the country at the Eurovision will be accepted until 31 January. This year, applications for participation in the qualifying round are accepted electronically through the BTRC website. As in the last year, there are no nationality restrictions for the participants of the national preselection. It can be citizens of any country aged over 16 years at the time of the application submission. One artist can submit only one song for the preselection. After receiving all the applications, Belteleradiocompany will conduct the live auditions. Entries will be evaluated by a focus group made of cultural and art figures, representatives of the organizer and co-organizer, other persons proposed by the organizer and co-organizer on a parity basis. The results of the qualifying round will be announced on 4 February. The members of the focus group by a simple majority of votes determine ten participants (the number can be changed) to proceed to the selection final. The final selection for the Eurovision, as in previous years, will be held in the form of a gala concert and will be broadcast live. The final will take place no later than March 8, 2019. In the STB pavillion took place draw of the running order of the semifinal of Ukrainian national Eurovision preselection. Music producer Ruslan Kvinta announced who will replace TAYANNA. The participant who has received the second chance is MARUV. "This year we received 860 songs that were competing for the National Selection. From it, a list of the strongest was formed, from which we have selected 16 semifinalists. Therefore, when it turned out yesterday that we would have to look for a replacement for Tayanna, it was easy for us to find a new participant. We gave this place to the performer who occupied the 17th position in our list - MARUV"," commented the decision of the National Selection team Ruslan Kvinta. Ivana Popović Martinović will be performing song "Nevinost" which speaks about young people who are struggling with all the challenges in the modern world. Music was written by Slavko Milovanović, lyrics by the singer herself, a arrangement done by Vladan Popović - Pop and Marko Milatović. If she wins at the national final Montevizija, she would like to sing in Europe in the Montenegrin language to preserve authenticity of the song as each language has its own emotion. "I miss when singers were singing in their own languages ​​because it brings the true charm of Europe," says Ivana. The song is intended for young people who, in addition to all the challenges and unpredictability of the world, continue to be fighters for truth and justice. "It is a song of a modern day heroes, fighters for justice, about the purity of the human soul," Ivana tells. Marina Banović is in charge of the outfits of the singer. RTCG has invited director Darko Kamarit to work on Montevizija show. He has many years of experience in similar projects. "I was one of the founders of Beovizija, the executive producer of Eurovision 2008, I was with Marija in Helsinki... Three Budva festivals. Music is my life," Kamarit said. His experience will complement the ideas of five artists who are already working full time on their performances. "Friends, greetings! I have an important message for you. Yesterday evening I took a very difficult but conscious decision. I will not participate in the National preselection for the Eurovision Song Contest. I believe that it will be better for everyone. I hope you accept it with respect and appreciation. Sometimes the universe does not give something to someone, not because you do not deserve it, but because you deserve something else. To confirm this, I feel that right now I have to make this choice. I'm sure there will be artists who did not get to the list of participants, but who need a ticket to Israel more than I do. And over time, I still realized that the main competition in the life of a creative person is a competition with himself. It is possible to get a victory in it only under one condition - to be sincere and to have the power to make difficult decisions. I respect and love our whole team that believes in me and all this time was doing everything to achieve this ambitious goal. But I say No. Enough. At the moment, I'm immersed in what really captures me - recording of a new album and preparing for a solo concert. I am grateful to all for support at this time. This is very important to me and it inspires me. I embrace everyone with my music! "I learned about Tayanna's decision late last night from her management. These news were unexpected for the whole our team. We're thankful to them for reporting it the night before the draw, and not an hour before. Immediately I want to stop any speculations: there is no conflict and there never has been. We have worked together perfectly for 2 years and the 3rd would have been the same. Tayanna filed an application, we accepted it, we liked the song. We were in touch with her manager to the last and discussed the details. It is a pity that I did not personally hear from Tayanna about her decision, I was waiting for a call, but this is her right, how to report her resignation. I can not and will not force her to participate in the National Selection. We had a lot of applications, we have enough good artists in the country, so soon we will inform about the replacement shortly"
Semifinal jury of the Latvian preselection Supernova will be made of Latvian Radio 5 - Pieci.lv music editor DJ Rudd, experienced musicians Linda Leen and Ralfs Eilands, as well as Radio SWH program producer, musician Artis Dvarionas. Ralfs Eilands, who in 2013 performed himself on the Eurovision stage as a member of PeR revealed that he has not yet heard any competing songs and thus his judgement will be based on the first impression. Eilands was twice in the Latvian jury of international Eurovision Song Contest. Artis Dvarionas admits that the song alone in the contest is powerless - no matter how good it would be. "The performance has always been crucial. 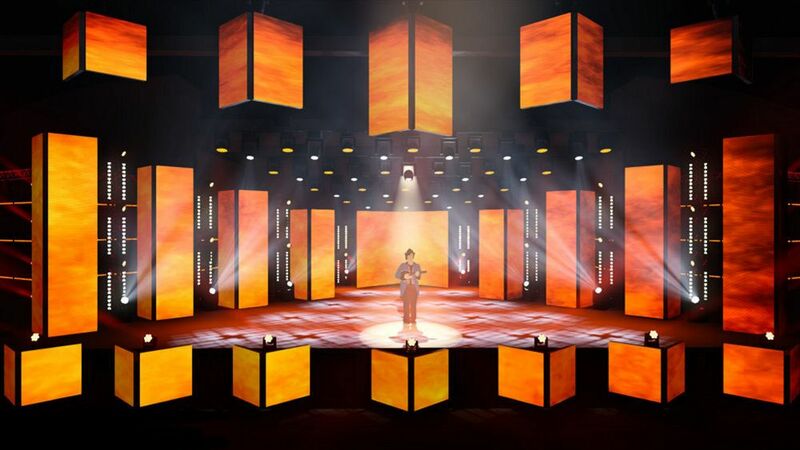 Sincerity, dynamism, astonishing milestones or contemporary technical achievements in scenography are called the key to success in this contest"
Watch Keshet report on the Eurovision 2019 stage and interview with its designer Florian Wieder. Osher Biton is eliminated from Israeli preselection Hakokhav Haba after 26th show. 10 artists remain in the running. Semifinals jury for Romanian preselection will include: singer and composer Adi Cristescu, songwriter and singer Mihai Georgescu (Miţă), singer and vocal coach Crina Mardare, composer and DJ Andy Platon and singer Mugurel Vrabete. National juries will decide the five winners of each semifinal. Two more finalists will be chosen by the public through televoting. In the final jury will be replaced by the international panel of experts. Singer-songwriter Duncan Laurence will be representing The Netherlands at the 64th edition of the Eurovision Song Contest in Tel Aviv. With Duncan Laurence as its contestant The Netherlands is once again represented by a high-quality act and powerful vocalist. CEO of AVROTROS and member of the Dutch Eurovision selection committee Eric van Stade: "We were blown away by this song. It's so powerful that we unanimously voted for Duncan." Duncan Laurence (born in Spijkenisse, The Netherlands; 1994) graduated this year from the Rock Academy in Tilburg, The Netherlands. Where he developed himself as a singer, songwriter and music producer. Besides that, he spent a lot of time writing songs in London and Stockholm. Duncan Laurence: "In the past few years many well known artists represented The Netherlands at the Eurovision Song Contest. I'm not well-known, but that's also a good thing; The Netherlands has a lot of young and talented musicians. My participation proves that nothing is impossible. You can suddenly get the opportunity to represent your country on an international stage. I'm very proud to represent my country… I will give it my all!" Former Dutch Eurovision contestant (as part of The Common Linnets in 2014) Ilse DeLange drew the selection commission's attention to the song: "Duncan is special. His songs are very international and authentic. Duncan has the personality needed for a big opportunity like this. For him, music always comes first.". All details on the Dutch representative will be officially announced on Thursday, March 7th. Until this day, Duncan will be preparing himself for the contest. 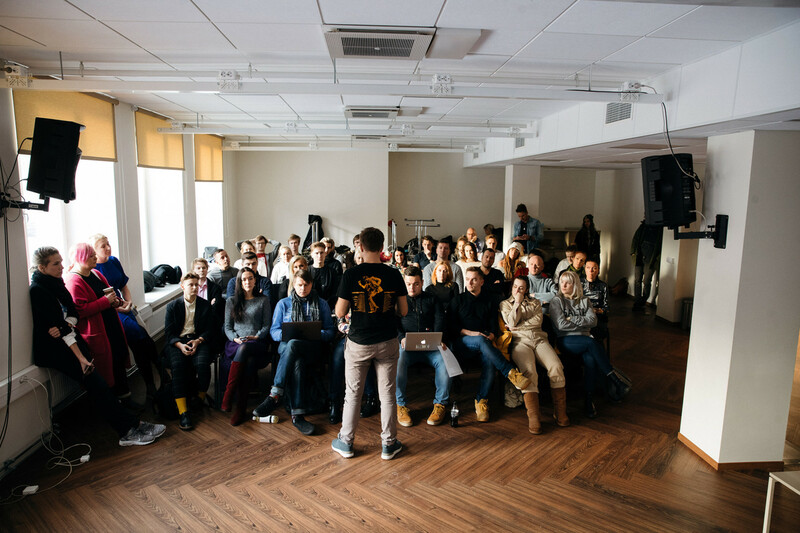 26 participants will compete in the live auditions of the Moldovan national preselecton. Today, Organizing Committee has checked the files submitted by the participants. One of them has submitted an incomplete file and the other was excluded from the race because the song lyrics contained elements that incite hatred and intolerance, which breaches the conditions stipulated in the Competition Rules. Thus 26 out of 28 acts were invited to attend live auditions. Live auditions will be held on February 2, 12:00, in Studio 2 of Moldova 1. There a jury of professionals will assess the competitors' vocal performance. Auditions will be streamed online on TRM.MD. This stage does not impose stage outfits or show elements, the criteria of evaluation being: the melodic line, the originality of the song, live vocal performance. Each participant will be given time for the necessary sound adjustments. Performers will be given points from 0 to 12. Audio versions of competing entries will be released shortly. 27 Anna Cucerenco - Do you see me? Portuguese broadcaster RTP has revealed more details about Festival da Canção 2019. Shows will be hosted by Tânia Ribas de Oliveira & Sónia Araújo (Semi 1), Jorge Gabriel & José Carlos Malato (Semi 2) and Filomena Cautela & Vasco Palmeirim (Final). Inês Lopes Gonçalves will be the Green Room host. Final show will take place at Portimão Arena in Portimão. 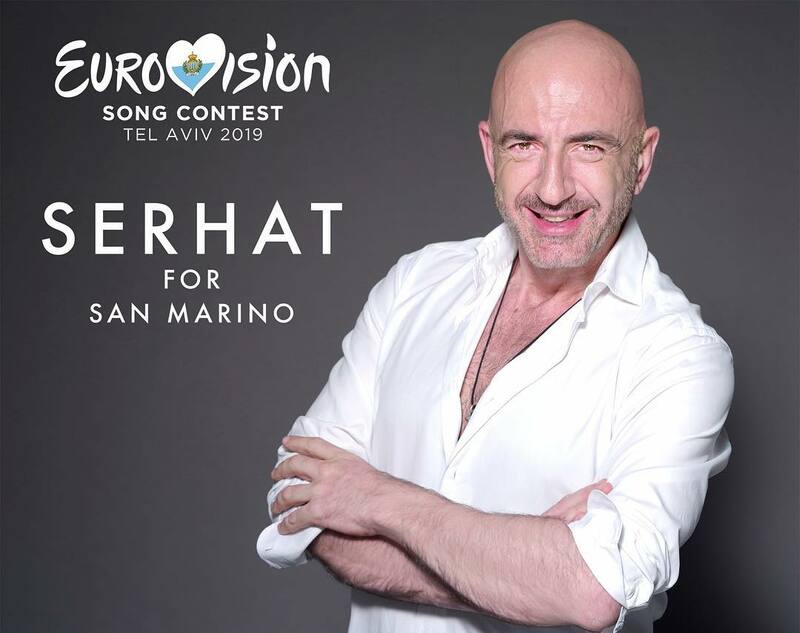 Serhat will again represent Republic of San Marino at the Eurovision 2019. It was revealed by the broadcaster RTV San Marino at the special press-conference with participation of the Director General of the broadcaster Carlo Romeo and head of the delegation Alessandro Capicchioni. They have highlighted that the decision was taken on the base of the whole project, proposed by the chosen artist. At the press-conference was read out a message from Organizing committee member Tali Eshkoli, who wished success to the chosen contestant, with whom she is acquainted via his previous participation. "We have prepared a song with a very strong message to the world", stated Serhat. Presentation of the song is expected in the late February, possibly at a special occasion. Презентация конкурсной песни представителя Бельгии Элиота пройдет на пресс-конференции 28 февраля, в ней примут участие сам исполнитель и автор песни Пьер Дюмулен. Представитель Сан-Марино Серхат провел сегодня пресс-конференцию для турецких СМИ в самом центре Стамбула, в отеле Мармара. Это 10-я годовщина участия Сан-Марино в песенном конкурсе Евровидение, и Серхат с гордостью принял предложение SMRTV представить страну в этом году в Тель-Авиве. Серхат заявил, что для него большая честь представлять Сан-Марино, так как опыт, который он пережил в 2016 году, оставил у него самые лучшие воспоминания, и благодаря доверию и крепкой дружбе, родившейся с командой Евровидения в Сан-Марино, он вернулся, чтобы отметить эту годовщину вместе. Серхата встретили в Сан-Марино очень тепло, также как воспринял его участие и турецкий народ. Он раскрыл, что конкурсная песня полна позитивной энергии, это "песня, которая раскрывает объятия для всего мира, для людей вне зависимости от границ". Серхат сообщил, что уже приступил к съемкам видеоклипа на конкурсную песню. Генеральный директор SMRTV г-н Карло Ромео во время своего почетного присутствия на пресс-конференции подчеркнул, что Евровидение очень важно для Сан-Марино. "Несмотря на то, что Сан-Марино - маленькая страна, мы принимаем участие в Евровидении с очень большим сердцем. Республика Сан-Марино, несмотря на свою небольшую территорию, остается сильной, и мы по-прежнему среди участников Евровидения. Это наш 10-й год, круглое число, поэтому мы тщательно оценили наши песни и поняли, что стараемся, поэтому заслуживаем равного обращения. Поэтому в этом году мы "нажимаем кнопку нового десятилетия" и участвуем с очень талантливым певцом, в которого мы действительно верим, и с хорошей песней. Как я уже сказал, Серхат имеет особую эмоциональную связь с Сан-Марино. Он также является гражданином мира, и привязка Стамбула, Лондона и Парижа к Сан-Марино является дополнительной ценностью для такой маленькой реальности, как наша". Тель-Авив, как место проведения конкурса, в стране, которая всегда была нашим другом, указывает на значение общественных вещателей в межкультурном диалоге для культуры мира". Г-н Ромео добавил: "Еще одним значительным элементом было стремление Серхата создать своеобразное телевидение, способное содействовать диалогу между сообществами с сильной напряженностью внутри. Он смог это сделать и сделать это очень важно в такой деликатной реальности, как греческая и турецкая, что еще раз подчеркивает решающую роль вещателей в этом конкретном вопросе. Евровидение 2019 - это выбор дружбы, и выбор Серхата доказывает это. Друг, friend, arkadas, amico, ami, freund,… ..., на всех языках, которыми владеет Серхат, с моей скромной завистью". Сегодня в Тель-Авиве прошла церемония распределения на полуфиналы стран, принимающих участие в конкурсе Евровидение 2019. Во время церемонии, заместитель мэра Лиссабона Дуаре Кордейру передал связку символических ключей от конкурса мэру города Тель-Авив Рону Хулдаи. С этого момента израильский город официально становится принимающим городом Евровидения 2019. Супервайзер Евровидения от ЕВС Йон Ола Санд говорит: "Церемония передачи символических ключей - это важный момент для конкурса Евровидение, и радостный праздник для города, принимающего конкурс. Это также важная веха для участвующих вещателей, которые узнают, в каком из полуфиналов они будут выступать. Мы начинаем отсчет времени до мая и с нетерпением ждем возможности поприветствовать их в Тель-Авиве на Евровидении 2019". Первая волна билетов на шоу поступит в продажу в феврале через официального билетного провайдера этого года, компанию Leaan. Дополнительные детали об этом станут известны позднее. Группа Lake Malawi становится представителем Чехии на Евровидении 2019. Lake Malawi и Барбора Мохова набрали одинаковое количество голосов от международного жюри, но Lake Malawi заняли выше место в зрительском голосовании. Чешское телевидение объявило о том, что в 2020 году будет проведен телевизионный отбор. Белтелерадиокомпания получила заявки на участие в национальном отборочном туре конкурса песни «Евровидение-2019» от артистов из 9 стран, сообщили корреспонденту агентства "Минск-Новости" в пресс-службе медиахолдинга. Всего за неделю с момента объявления старта национального отбора поступили 29 заявок из Беларуси, России, Украины, Польши, Румынии, Италии, Испании, Великобритании, США. Количество участников еще наверняка увеличится, так как прием заявок продлится по 31 января. По условиям, в конкурсе могут участвовать граждане разных стран, которые достигли 16 лет. В списке претендентов от Беларуси как новички, так и участники прошлогодних отборочных туров. В частности, Анжелика Пушнова, Michael Soul (Михаил Сосунов), группа "Провокация". Победительница первого сезона X Factor Мальта Микела Пач была торжественно встречена своими поклонниками на площади Св.Франциса в воскресенье днем. 18-летнюю Микелу поприветствовала министр Гозо Джустин Каруана, поздравившая певицу с ее потрясающим достижением и тем, что она станет послом страны на конкурсе Евровидение в Тель-Авиве. Микела дала всем желающим автографы и позировала для селфи с поклонниками. Компания Debby Group будет отвечать за все связи с общественностью в рамках конкурса Евровидение 2019, помогая главе PR конкурса Шарон Бен-Давид, назначенной ранее. Компания, которая будет отвечать за работу как с местными, так и международными СМИ была выбрана на тендере, в котором приняли участие три компании. Помимо прочего, победители тендера проведут анализ целевой аудитории и подготовят рабочий план, действуя совместно с их коллегами из международной компании Premier, которая обслуживает Европейский Вещательный Союз. Debby Group - одна из крупнейших компаний в Израиле, отвечающих за PR и стратегическое развитие. Она занимается Маршем жизни, Конференцией по инновации, отвечала за речь Барака Обама в Израиле, приз Genesis и др. Специальную команду Евровидения возглавит генеральный директор Debby Group Ая Акимейр, в нее войдут медиа консультант Рон Гранот, владелец PR фирмы Ron Granot Communications, и международная команда. "Мы очень рады нашему выбору и горды стать партнерами организатора конкурса Евровидение KAN", говорит Моше Дебби, председатель и основатель Debby Group. "Помимо профессионального вызова проведения беспрецедентного медиа мероприятия в Израиле, мы будем счастливы рассказать Европе и миру историю Израиля как культурного центра, преуспевающего и разнообразного"
После второго раунда тендера на обеспечение безопасности конкурса Евровидение 2019, единственная компания, подавшая заявку, была дисквалифицирована, поскольку она не удовлетворяла комплексным требованиям. Напомним, что на первый тендер, проходивший в декабре, заявок было подано не было. После неудачи с первым тендером, вещательная корпорация KAN адаптировала некоторые из условий, но даже после публикации второго тендера, крупнейшие компании Израиля отказались от участия в нем. Опубликованы отрывки песен, принимающих участие в Словенском отборе EMA. Коби Марими является кандидатом на выбывание, выступления Абрахама де Карвальу и группы Шальва - в следующей программе. По решению зрителей в финал проходит Vaida - "Underground"
Завершено оглашение высших баллов членами международного жюри отбора ESCZ. JOWST (Норвегия) и Райан О'Шоннеси (Ирландия) дали свои 12 баллов группе Lake Malawi, которая в итоге собрала наибольшее количество 12 балльных оценок от жюри. Также к 1 члену жюри будет приравнено голосование международных поклонников конкурса. В превью полуфиналов Мелодифестивалена 2019, Густав Даландер изучает данные артистами оценки собственных конкурсных песен. Их попросили оценить свои заявки по шкале от 0 до 100 в категориях Темп, Шоу, Юмор, Необычность и Танец. В первом полуфинале будет наибольшая суммарная оценка в трех из пяти категорий: Шоу, Юмор и Необычность. Густав Даландер продолжает публикацию на своем Экспертном блоге оценок, данных самими артистами Мелодифестивалена 2019 своим песням по категориям Темп, Шоу, Юмор, Необычность и Танец. Второй полуфинал собрал наибольшее количество быстротемповых и танцевальных песен. Песня Маргарет будет самой быстротемповой и юмористической (хоть и всего с 52%) из всех участников конкурса. Также, SVT объявило о запуске Mellosvepet - превью шоу, которое будет выходить ежедневно с четверга по воскресенье на Facebook странице фестиваля, а также на SVT Play. В нем будет рассказано о подготовке к конкурсу из-за кулис проекта. 21:00-23:15, Грузия, Sakartvelos Varskvlavi, 4 шоу, online. Бесо Немсадзе и Мариам Кахелишвили покидают шоу. Запись эфира можно увидеть здесь. 21:30-23:40, Венгрия, A Dal, 2 четвертьфинал, online. Fatal Error, Acoustic Planet, The Middletonz, Bence Vavra и The Sign вышли в полуфинал по решению жюри, yesyes были добавлены зрителями. Запись шоу доступна здесь. 22:00-24:00, Литва, 3 шоу, online. В полуфинал отбора вышли: Jurijus, Monika Marija - "Criminal", Jurgis DID & Erica Jennings, Antikvariniai Kašpirovskio Dantys, Cheri, Jurgis Brūzga. Запись эфира доступна здесь. 22:15-23:50, Израиль, Hakokhav Haba, 27 шоу, online. Даниель Мазуз покидает шоу. Видео эфира доступно здесь. 22:25-00:40, Латвия, Supernova, 1 четвертьфинал, online. Laime Pilnīga (победители полуфинала), Samanta Tīna, Edgars Kreilis, Aivo Oskis выходят в финал. Запись эфира доступна здесь. 22:45-23:20, Исландия, Kynningarþáttur Söngvakeppninnar 2019, Презентация песен, online. 22:50-, Мальта, X Factor, Финал, online. Микела Пач становится победительницей шоу и представит Мальту на Евровидении. Видео с программы доступны здесь. 23:00-01:50, Франция, Destination Eurovision, Финал, online. Билял Хассани представит Францию с песней "Roi". Видео с финального шоу доступны здесь. Одна из пяти участниц отбора Монтевизия Андреа Демирович говорит, что ее первое выступление на Евровидении было большим, но очень нервным опытом, и второй раз был бы легче. В этом году она решила принять участие в отбое, потому что у нее появилась хорошая песня, к которой она сама написала текст. "Очень важно, чтобы песня нравилась местной аудитории", говорит Демирович. Исландское телевидение официально представило участников национального отбора. Их телевизионная презентация пройдет сегодня в 22:45 Москвы. Ведущими шоу станут Þeir Fannar Sveinsson и Benedikt Valsson (Benni og Fannar), в Гринруме будет работать Björg Magnúsdóttir. Серхат, представитель Сан-Марино на Евровидении в Тель-Авиве, принял участие в частном приеме в Палаццо Публико Капитанами регентами страны. На приеме также присутствовали генеральный директор вещателя Карло Ромео и глава делегации Алессандро Капиккьони. Для Серхата это было возможностью подчеркнуть гордость за право представлять Республику на 64м конкурсе. "В Сан-Марино я чувствую себя как дома", сказал исполнитель, который использовал возможность сделать фото на фоне заснеженной Пьяцца делла Либерта. ЕВС обнародовал информацию о составах корзин для жеребьевки полуфиналов, которая состоится в понедельник. В первой части жеребьевки будет определено, какой полуфинал будут транслировать и голосовать каждая из стран- автоматических финалистов (Франция, Германия, Италия, Испания, Великобритания и принимающая страна Израиль). Вторая часть жеребьевки определит, в каком полуфинале и в какой половине соответствующего полуфинала выступят остальные 36 стран-участниц. Как и в последние годы, точный порядок выступлений будет определяться продюсерами шоу. 36 полуфиналистов были распределены по шести корзинам на основе исторических схем голосования, рассчитанных официальным партнером конкурса Digame. Использование корзин позволяет снизить вероятность так называемого соседского голосования и увеличивает количество неожиданностей в полуфиналах. По просьбе SRF, одобренной организационной группой, Швейцария примет участие во втором полуфинале. Продолжается оглашение высших баллов членами международного жюри чешского отбора ESCZ. Алма (Франция) дала свои 12 баллов Барборе Моховой, а Ари Олафссон (Исландия) - группе Lake Malawi. Голоса последних членов жюри будут оглашены в воскресенье, а в понедельник в 14:30 местного времени будут оглашены полные результаты отбора. Тамара Тодевска представит Македонию на Евровидении 2019, заявил македонский вещатель в новостном эфире. Певица выступала в составе трио с Врчаком и Адрианом Гаджей на Евровидении 2008, а также была бэк-вокалисткой в 2004 и 2014 годах. Несколько композиторов уже создают песни для Тамары, и в ближайшем будущем она и команда МРТ выберут лучшую из них, которая больше всего подходит под ее стиль и вокал. Песня будет представлена в конце февраля. "Я надеюсь сохранить имидж, который я создала на домашних фестивалях, всегда занимая второе место. Если я вернулась с Макфеста и Скопье фестиваля со вторым местом, но и с песнями, которые стали большими хитами, то я надеюсь стать второй и на Евровидении. Но кто знает. может быть я удивлю своих поклонников и одержу победу", смеется Тамара. "Я счастлива и благодарна МРТ за то, что они выбрали меня, и уверена в том, что мой прошлый опыт конкурса поможет мне", добавляет она. Вернувшаяся на пост главы делегации Азербайджана Усния Магеррамова сегодня дала интервью телеканалу CVN TV о подготовке к конкурсу Евровидение. Она подчеркнула, что исполнитель, который представит Азербайджан на Евровидении 2019 пока не был выбран. По ее словам, за выбор отвечает специальная комиссия, но для нее лично - самым важным в исполнителе является его энергия, и стрессоустойчивость в важных ситуациях. Как только решение будет принято, о нем будет сообщено общественности. Усния отказалась называть какие-либо конкретные имена артистов, принявших участие в прослушиваниях, и в частности заявила, что слух о том, что выбор происходит между Самирой Эфендиевой, Тофигом Гаджиевым и Аразом Гумбатлы не имеет под собой никаких оснований, сообщает блог 12xal. Eurovision-Austria сообщает, что песня, которая представит страну на Евровидении будет представлена во вторник, 29 января, в радиопрограмме Ö3 Wecker. Сообщается, что исполнителем ее является женщина. "Мои чемоданы для Тель-Авива уже упакованы, с новым материалом и небольшими сюрпризами", пишет на своей странице в социальной сети Геена Фишер. Предлагаем вашему вниманию акустическую версию ее конкурсной песни. Представлены песни, принимающие участие в норвежском Melodi Grand Prix 2019. Прослушать их можно в Spotify и на сайте NRK. ЕВС официально подтвердил имена ведущих конкурса Евровидение 2019. Ими становятся Бар Рафаэли, Эрез Таль, Асси Азар и Люси Аюб. Ожидается, что двое последних будут ведущими в гринруме конкурса, а также они проведут церемонию жеребьевки в понедельник. Бар является международной супермоделью и одной из первых израильских моделей, появившихся на обложке издания Sports Illustrated Swimsuit. У нее богатый опыт ведения телеэфиров, она создала свое собственное кастинговое шоу "Million Dollar Shooting Star" в 2012 году. Наряду с успешной карьерой модели, Бар также провела несколько телевизионных шоу в прайм-тайм, таких как израильская версия X Factor в 2013. Эрез Таль имеет 25-летний опыт работы в сфере радиовещания. Он разрабатывал, продюсировал и вел ряд хитовых шоу прайм-тайма, в том числе десять сезонов популярного реалити-шоу Big Brother. Эрез также известен созданием и проведением телевизионного игрового шоу The Vault, которое было продано в 23 страны по всему миру, что делает его самым успешным израильским игровым форматом в мире. Асси Азар является одним из ведущих израильских телеведущих и сценаристов, в чьи заслуги входит проведение израильской "Rising Star", национального отбора на Евровидение. OUT Magazine включил Асси в свой глобальный список 100 самых влиятельных геев. Люси Аюб - самый многообещающий новый талант Израиля, которая прославилась как влиятельный YouTuber. Впоследствии она смогла стать известной телеведущей и представляла результаты голосования израильского жюри на Конкурсе Песни Евровидение 2018 года в Лиссабоне. Стартовало голосование за финалистов Грузинского Идола Sakartvelos Varskvlavi. Вам придет сообщение с призывом проголосовать, на ней нужно выбрать первую строку "💃🕺 კონკურსანტები", чтобы появился список конкурсантов. Нужно выбрать понравившегося вам конкурсанта и нажать на кнопку под его именем. Придет сообщение с фото выбранного конкурсанта. В нем нужно нажать на первую строку "➡ მიეცი ხმა! ", чтобы подтвердить свой голос. Голосовать можно раз в 12 часов. Система напишет вам, когда вы сможете отдать свой следующий голос. Также можно голосовать по телефонам операторов Geocell и Magticom в неограниченных количествах, стоимость звонка 50 тетри. В первом раунде шоу два конкурсанта с наименьшим количеством голосов покинут шоу. Представлены потенциальные песни Евровидения Кейт Миллер-Хайдки и Эллы Хупер. Кейт Миллер-Хайдки написала свою песню Zero Gravity вместе со своим партнером Кейром Наталлом, а Data Dast для легендарной рок-певицы Эллы Хупер написала 24-летняя Элис Чанс. Кейт Миллер-Хайдки говорит: "Zero Gravity" - это поп-оперная песня о выходе из депрессии. Она использует метафору плохих отношений, чтобы описать, каково это быть в депрессии. Припевы и аутро пытаются уловить чувство трансцендентности. Мне нравится двойное значение слова "гравитация" - эта песня также может быть о том, чтобы оставить серьезность позади"
Элла Хупер говорит: "Data Dust - это мощный поп-рок хит с собственным мироощущением. В нем речь идет о цифровой зависимости и о постоянно растущем влиянии социальных сетей на нашу жизнь. Павер-поп-музыка сразу захватывает слушателя. Я надеюсь привнести немного традиционной рок-н-ролльной энергии в бурное исполнение поп-песни со смыслом"
Элис Чанс говорит: "Для меня большая честь, что моя песня была выбрана из более чем 700 заявок для участия в Eurovision - Australia Decides. Однажды утром, когда я собиралась на работу, Data Dust просто родилась у меня в голове. Хотя все это произошло очень быстро, вещи, о которых я говорю в песне, важны для меня, и я долго думала о них. Я так довольна, что эти идеи также нашли отклик у членов жюри, и я уверена, что они найдут отклик и в Австралии. Я всегда мечтала написать песню для нашего австралийского представителя. Невероятно думать, что я всего лишь в шаге от исполнения этой мечты". За две недели до начала шоу оставшиеся две песни выпустят группа Sheppard и Таня Доко, а также будут объявлены специальные гости конкурса. Церемония распределения на полуфиналы пройдет в понедельник, 28 января, в Тель-Авивском Музее Искусств. Ведущими церемонии станут Асси Азар и Люси Аюб, ее эфир выйдет в 19:00 Москвы на официальном канале Евровидения в Youtube и на Facebook странице вещателя KAN.
Мероприятие начнется с традиционной церемонии передачи символических ключей от конкурса. Заместитель мэра Лиссабона, города-организатора Евровидения прошлого года, передаст их Рону Хулдаи, мэру Тель-Авива. В четверг, десятки флагов и баннеров с эмблемой конкурса украсили улицу Ибн Габирола и променад. Рамки для селфи Евровидения были размещены на пляже рядом с рестораном Manta Ray и недалеко от Писгат Зеэва. Помимо того, муниципалитет работает еще над рядом брендинг-идей, которые будут воплощены позднее. Как сообщалось ранее, локация церемонии жеребьевки была изменена на Тель-Авивский музей искусств, и соответственно церемония Красной дорожки (12 мая) также была сдвинута на площадь Хабима и в театр Хабима, что не удивительно, поскольку его художественный директор Моше Кептен будет отвечать за концепцию церемонии. Самая популярная бесплатная газета Франции 20 minutes попросила экспертов Евровидения назвать своих фаворитов в финале французского отбора Destination Eurovision. William Lee Adams (Великобритания, BBC World Service/Wiwibloggs): Seemone - "Tous les deux"
Андрей Михеев (Россия, ESCKAZ): Bilal Hassani - "Roi"
Axel Hirsoux (Бельгия, представитель на Евровидении 2014): Chimène Badi - "Là Haut"
Pierre Bertinchamps (Бельгия, Télépro): Silvàn Areg - "Allez leur dire"
Полные результаты голосования доступны на сайте 20minutes.fr. Главный редактор телеканала МРТ1 заявила в интервью изданию Нова Македониjа, что произойдут изменения в способе выбора представителя на конкурс Евровидение. "Конкурс Евровидение - как и любое представление Македонии в какой-либо сфере, это то, что вдохновляет нас, но в то же время накладывает ношу. Как общественный вещатель, мы обязаны отчитываться перед публикой. МРТ владеет лицензией, потому что она принадлежит общественным вещателям - членам ЕВС, но представитель - это тот, кто представляет страну. Мы много дискутируем, обсуждаем эту тему на программных заседаниях, с участием экспертов и публике. Никаких окончательных решений и выводов еще не принято. Потому я прошу публику дать шанс общественному вещателю, команде Евровидения, которая несомненно претерпит изменения, и концепции, о которой в скором будущем будет рассказано публике"
Песни, принимающие участие в исландском отборе Söngvakeppnin будут представлены в эту субботу в 22:45 Москвы в специальной телепрограмме "Kynningarþáttur Söngvakeppninnar 2019" на RÚV 1. После этого, песни будут опубликованы на сайте RÚV, а также на Youtube и Spotify. Перед полуфиналами по пятницам в 22:40 Москвы в эфир будет выходить разогревочное шоу #12Stig. Их пяти песен, принимающих участие в каждом из полуфиналов 9 и 16 февраля, комбинацией зрительского голосования и голосования жюри будут выбраны две песни, которые выйдут в финал. Организаторы также оставляют за собой право добавить один "вайлдкард" к числу финалистов. В финальном шоу будет представлено международное жюри из десяти человек, которые выскажут свое мнение и дадут свои баллы, в дополнение к голосованию зрителей. В суперфинале, две лучшие песни сохранят голоса, набранные ими в первом туре. Имя специального гостя финального шоу в Laugardalshöll 2го марта будет названо 29 января, за день до начала продажи билетов. Дизайн сцены этого года разработали Alfreð Sturlu Böðvarssyni, Inga Bekk, Karli Sigurðssyni и Vigni Erni Ágústssyni. Сцена будет содержать в себе 103 m² LED экранов и 350 LED световых приборов. Для эфира будут задействованы 11 камер, программа Autocue pilot для их автоматического программирования, и программ Audio voices, передающая 24 канала звука. Голосование за финалистов Грузинского Идола Sakartvelos Varskvlavi стартует 25 января в 11:00 Москвы. Для того, чтобы проголосовать - нужно перейти на страницу шоу в Facebook и открыв Messenger, выбрать своего фаворита, нажав потом кнопку для голосования. Можно голосовать бесплатно раз в каждые 12 часов. Для превью полуфиналов шведского отбора Мелодифестивален на экспертном блоге Густава Даландера, участвующих артистов попросили самих оценить свои песни по шкале от 0 до 100 в категориях: Темп, Шоу, Юмор, Необычность, и Танец. В целом, третий полуфинал не выделяется ничем. Ни в одной из категорий он не занял ни первое, ни последнее место. Очередные высшие баллы от членов международного жюри чешского отбора ESCZ. Эстонка Элина Нечаева дала 12 баллов Lake Malawi (это их 2й высший балл), а венгерская группа AWS - Андреа Хола. В Московской VI Studio началась работа над вокальной партией трека, который считается потенциальной песней России на конкурсе Евровидение 2019. Для этого в Москву на несколько дней прилетел педагог по вокалу Алекс Панайи, которому уже в субботу предстоит оценивать финалистов французского отбора Destination Eurovision в составе международного жюри. Какую песню представитель Нидерландов Дункан Лоуренс исполнит на Евровидении? Телеканал AVROTROS представил исполнителя, но ни слова не сказал о его песни - кто ее авторы и принимал ли участие в ее написании сам Дункан, каким будет ее стиль, будет ли он танцевальным - как ранее ходили слухи, кантри - как последние годы часто представляет Голландия, или авторский? На данный момент есть два слуха о возможных песнях. Незадолго до оглашения представителя, из интернета была удалено видео Дункана с песней "I Miss You". По некоторой информации, Дункан исполнял данную песню на своем выпускном экзамене в Рок-Академии в Тилбурге, и видео было опубликовано до 1 сентября 2018 года. Ряд поклонников конкурса посчитал, что удаление песни говорит о том, что именно данную композицию Дункан исполнит на конкурсе. ОБНОВЛЕНИЕ: AVROTROS подтвердил, что данная песня не является конкурсной. В базе данных GEMA была обнаружена песня Дункана Де Мора под названием "Closer to the Heart". Ее исполнителем был заявлен Duncan Laurance (sic!). В числе авторов песни - диджей, потому также некоторые посчитали, что это может быть конкурсной песней. Полный состав авторов: Duncan De Moor, Alex Vasi, Carlota Van De Logt, издатели Temazo Music / MusicAllStars BV/ SONY/ATV Music Publishing BV. Стоит отметить, что в базе данных есть и еще множество песен Де Мора, которые, возможно, готовятся исполнителем для своего дебютного альбома. Но ни в одной из этих песен исполнителем не числится Laurence или Laurance. Около 300 песен было получено Общественным Телевидением Армении для участия в Евровидении 2019. "Можете ли вы представить, с каким сердцебиением и нетерпением я ждала заявок. А сейчас у меня нет слов, чтобы описать признательность всем, кто подумал обо мне и написал для меня песню. Из сотен полученных заявок, у меня есть несколько фаворитов, между которыми я должна сделать выбор. Нашей команде потребуется еще некоторое время, чтобы принять окончательное решение и представить мою песню Евровидения моим любимым фанатам. Я жду с нетерпением, и надеюсь, что вы тоже", говорит Србук. Азербайджанский общественный вещатель Ictimai TV начинает поиск песни, которая представит страну на конкурсе Евровидение 2019. Песни, следующие основным правилам конкурса Евровидение, должны быть поданы в mp3 формате на адрес eurovision2019@gmail.com до 7 февраля 2019 года. Заявка также должна содержать информацию об авторах. На 09:53 24 января Белтелерадиокомпания получила 14 заявок от артистов, которые хотят поехать на "Евровидение-2019". По словам пресс-секретаря медиахолдинга Светланы Смолонской-Красковской, среди приславших есть новички и те, кто участвовал в отборах в предыдущие годы, есть как белорусы, так и представители других стран, таких как США, России и Испании. "Фамилии и псевдонимы прошлогодних финалистов в заявках пока не встречались, как и имена тех, кто публично заявил о намерении участвовать в национальном отборе. А одной из первых прислала заявку певица Mariah Gregory", — говорит в беседе с Еврорадио Светлана. Помимо тех исполнителей, о которых мы сообщали ранее, о своих планах подать заявку на участие в конкурсе заявили певицы Венера и Аня Шаркунова, а также группа Toyboy, но не в полном составе. Заявки на участие в национальном отборе принимаются до 31 января. Прослушивание пройдет 4 февраля. Победитель будет выбран до 8 марта. Популярная актриса Айда Смрекар станет ведущей словенского отбора EMA 2019. "EMA всегда была особым вечером для меня, который собирал вместе все поколения у экранов телевизора. При одной только мысли о том, что в этом году я стану ведущей ЕМА, у меня повышается пульс. Этот вечер будет особенным для меня, потому что я не буду играть роль на сцене, моей задачей будет провести зрителей через этот вечер, в который мы выберем лучшую из десяти различных и ярких песен и с гордостью отправим ее на землю обетованную". Группа D moll исполнит на черногорском отборе Монтевизия песню Ti. В состав группы входят: Тамара Вуячич (16), Мирела Люмич (17), Желько Вукчевич (18) из Подгорицы, Ивана Обрадович (18), Эмель Франца (18) из Бьело Полье и Ризо Фератович из Гусинье. Мирела Люмич говорит: "Идея принять участие в отборе на Евровидение принадлежит нашему наставнику Даниелю Алибаичу (No Name), который решил собрать нас вместе. Мы приняли предложение и очень довольны этим, сейчас мы работаем над подготовкой". Она узнала о том, что группа вышла в финал в классе. "Когда пришло сообщение, я прямо закричала, я была в шоке", рассказывает Мирела. Песня, которую группа исполнит на конкурсе - баллада о любви. Несмотря на название Ti, песня будет исполняться на английском языке. "Это баллада, и по мене ее продвижения, она динамично развивается. Это позитивная песня о любви, мы хотели бы показать зрителям что-то отличающееся, мы будем петь на английском, хотя у нас есть версия и на нашем языке", говорит Тамара Вуячич. Ризо Фератович добавляет, что "Мы хотим пробудить эмоции в людях". Участники D moll хотят показать, что все они отличаются, и надеются получить возможность представить Черногорию с наилучшей стороны. Саша Сонг обвинил продюсера в том, что он не принял участия в съемках тура литовского отбора. Он должен был исполнить дуэт с Довиле на песню Bad Boy. "Жаль, конечно, что мне пришлось сняться с конкурса по причинам вне моих сил - я не получил трек с правильной аранжировкой от продюсера в оговоренное время. Кроме того, я получил только плюсовую версию с вокалом, которую я бы не мог все-равно использовать на сцене Евровидения. В таком важном мероприятии, как Евровидение, я хотел принять участие не только создав шоу на сцене, к чему я был готов, но и также дав возможность зрителям услышать музыку высокого качества. Я не хочу участвовать для посредственных оценок. Потому я снялся с конкурса". Напомним, что согласно правилам конкурса артист был оштрафован на 2000 евро за неявку. Итальянский вебсайт Eurofestival news собрал обзоры журналистов, которые получили право заранее эксклюзивно прослушать песни, принимающие участие в фестивале Сан-Ремо 2019, и перевел их в систему оценок: позитивная (7+), нейтральная (6-6.5) и негативная (5.5-). ESCKAZ посетил пресс-презентацию и пообщался с артистами, принимающими участие в отборе Великобритании Eurovision: You Decide. Самая большая музыкальная феерия на планете возвращается в мае 2019 года, и пришло время выбрать песню и артиста, которые отправятся в Тель-Авив, чтобы представлять Великобританию на Евровидении 2019. Самопризнанный супер-фанат Мел Гидройч и бывший победитель Евровидения Монс Зельмерлёв проведут Eurovision: You Decide в прямом эфире из Солфорда в пятницу, 8 февраля 2019 года, в 22:30 Москвы на BBC Two. В этом году на Eurovision: You Decide будет представлен совершенно новый формат, в котором три песни будут исполнены шестью разными артистами. Посредством открытого приема заявок и проведения авторских лагерей, организованных музыкальным консультантом Грейгом Уоттсом, 10 песен были включены в шорт-лист и были переданы международному жюри музыкальных экспертов, которые и выбрали три песни для представления на шоу. Каждая из трех песен будет исполнена двумя музыкально различными способами, двумя разными артистами. В первой части шоу пройдут три тура "Song-Off". После того, как все шесть номеров будут исполнены, судьи-эксперты решат, какие три артиста и какая версия каждой из песен будут представлены для голосования зрителей. Затем три песни-финалиста будут исполнены еще раз, прежде чем будут открыты линии для голосования, ведь именно публика выбирает, какая песня и исполнитель будут представлять Соединенное Королевство на Конкурсе Песни Евровидение 2019. Голосовать можно, позвонив по номеру, который появится на экране во время шоу или через сайт BBC. Зрители, голосующие онлайн, должны будут убедиться, что они вошли в свою учетную запись BBC. Также зрителей шоу ждет захватывающая живая музыка от ведущего You Decide и победителя Евровидения 2015 Монса Зелмерлёва, а также множество других сюрпризов. Кен Брюс будет вести свое шоу на BBC Radio 2 в прямом эфире из Солфорда, поговорив со всеми шестью участниками в преддверии их выступлений в этот вечер. Он также встретится с ведущими Мел и Монсом, чтобы узнать, как идут репетиции и что зрители могут ожидать от конкурса этого года. Eurovision: You Decide 2019 станет больше и лучше, чем когда-либо прежде. По показаниям самих артистов, 4й полуфинал станет самым медленным, с наименьшим количеством шоу, в нем будет меньше всего юмора, необычных песен и танцев. Если участник не принимает участие в репетиции, записи или прямом эфире отборочного шоу, без предъявления им документов, подтверждающих удовлетворительную причину этого (болезнь, смерть родных и т.п. ), LRT имеет право снять артиста с конкурса и наложить на него штраф в размере 2000 евро. Объявлены высшие баллы еще двух членов международного жюри чешского отбора ESCZ. Швейцарские Zibbz отдали свои 12 баллов Барборе Моховой (итого у нее уже 3 высших оценки), а мальтийка Ира Лоско - Lake Malawi. Победитель X Factor Великобритании Далтон Харрис станет специальным гостем финала мальтийского шоу в эту субботу. Тем временем, TVM запустило набор во второй сезон проекта. Желающие принять участие исполнители старше 15 лет могут подать заявку по WhatsApp 99202019, отправив в сообщении ФИО, возраст, e-mail и минутную запись пения. Композитор Димитрис Контопулос опубликовал в социальной сети фотографии с сессии записи Московского симфонического оркестра в студии Мосфильма. "Сегодня действительно был хороший день .. спасибо 🙏🏻 #moscowsymphonyorchestra #moscow #russia #mosfilm #mso #day1", написал греческий композитор. Ранее, обозреватель газеты "МК" Артур Гаспарян сообщал, что для участия Сергея Лазарева на Евровидении 2019 Dream Team подготовили "супербалладу, нечто грандиозное и эпическое - настолько, что возникла необходимость привлечь для записи целый симфонический оркестр"
"10 января завершился период приема заявок. После этого, мы прослушали все песни в несколько этапов, потому что их было так много, что мы не смогли прослушать их все за один день. Мы получили песни от различных стран по всему миру. Я должна сказать, что армянские композиторы были более активны в этом году, и мы действительно благодарны всем тем, кто уделил время и отправил нам песни. Мы получили различные виды песен, как танцевальные, так и баллады. Србук запишет некоторые из них, чтобы мы понимали, какие лучше подходят ее голосу. Окончательное решение будет принято уже скоро. Мы очень довольны процессом. С самого начала он шел очень активно. Активность композиторов очень приятна как для Србук, так и для нас". Российский продюсер и владелец ордена Франциска Скорины Виктор Дробыш заявляет, что в этом году не собирается готовить участника на "Евровидение-2019". "Зена вся в учебе, у нее нет времени, пусть учится пока... Я сам сначала думал, что нужно, а потом... Пока не знаю. Наверное, нет... Я никого не планировал готовить", — рассказал Виктор Дробыш в беседе с Еврорадио. "Естественно, будет, я знаю точно", — признается Александр Еврорадио. Правда, какую песню представит Зена на отборе, и будет ли это трек авторства Дробыша, отец певицы держит в секрете. Продюсер Александр Слуцкий рассказал TUT.BY, что в отборе, возможно, снова примут участие артисты NAPOLI и Alen Hit. В то же время певица Гюнешь написала на своей странице в социальной сети, что не будет принимать участие в отборе. Обвинение в уклонении от уплаты налогов и финансовых махинациях не помешает топ-модели Бар Рафаэли вести конкурс "Евровидение-2019", который состоится в Тель-Авиве – так решил совет телерадиовещательной корпорации "Кан", ответственной за организацию и проведение конкурса в Израиле. Ранее корпорация уже заявляла, что не станет искать замену популярной модели, но после того, как стало известно, что прокуратура подготовила обвинительное заключение и передает дело в суд, этот вопрос было решено обсудить еще раз. Как уже сообщалось, соведущим Бар Рафаэли будет шоумен Эрез Таль, а в Гринруме конкурса будут работать ведущая новостей "Кан" Люси Аюб, и ведущий национального отбора "Следующая звезда для Евровидения" Асси Азар. Ожидается, что официальное объявление имен ведущих будет сделано в ближайшую неделю. Мики: "Евровидение объединяет два моих интереса: музыку и путешествия"
RTVE провела онлайн-конференцию с победителем испанского национального отбора Мики. В ней также приняли участие Адриа Салас, автор песни "La Venda" и Ана Бордас, глава делегации Испании. "Единственное, что мне сейчас приходит на ум - это получать удовольствие, удовольствие от всего, что ждет впереди. Я очень рад, что предстоящие месяцы объединят два моих интереса: музыку и путешествия", объяснил исполнитель. Хотя команда, которая будет заниматься постановкой номера пока еще не определена, Мики говорит, что хотел бы, чтобы номер был "ближе к аудитории, чтобы передать тот задор и энергию, которые несет в себе песня". Автор песни Адриа Салас объяснил, что ее текст говорит "о моменте, в который мы живем, когда каждый думает о самом себе, и существуют большие предрассудки. Песня - о личностном росте, во время которого ты освобождаешься от этих социальных предрассудков, с твоих глаз спадает повязка и ты становишься свободным". В интервью Eurovision-Spain, композитор заявил, что команда будет работать над улучшением звучания песни, она будет перезаписана. "У меня есть несколько идей, более мелодических, чем по аранжировке, а также вокальных изменений, которые могут быть сделаны... Но нам нужно многое оценить, потому что важнее всего, чтобы Мики чувствовал себя в ней комфортно". После 15 лет в группе La Pegatina, Евровидение - это новый вызов для Адрии, лидера группы. "Люди писали мне уже много лет, говоря, что нам нужно поехать на Евровидение. Но я думаю, что момент для этого не пришел, у нас много концертов по всему миру, и это - не подходящее время для участия в конкурсах, но наблюдать за быками из-за барьера... мне это больше по душе! Я пишу много песен, и когда мне позвонили и спросили, не хочу ли я отправить одну из них на конкурс, я немедленно согласился. Мне кажется, что выбор "La Venda" для Евровидения - это признание того, что наша музыка должна звучать на радио". Помимо того, что он будет готовиться к Евровидению, Мики приступил к подготовке своего дебютного альбома. В число его авторов войдут Альфред Гарсия, Нил Молинес и Арнау Гризо. Полную пресс-конференцию можно увидеть здесь. Всего 1 892 000 зрителей (доля в 11.6%) смотрели OT 2018 Eurovisión Gala на La 1. Это - уменьшение на 1 194 000 по сравнению с аналогичным шоу прошлого года, и худшая доля среди всех концертов этого сезона. Штатными танцорами Мелодифестивалена 2019 станут Эдин Юсуфрамич, Даниель Койвунен, Фелисия Морис и Анн Мирро. Они будут принимать участие как в конкурсных номерах, так и номерах открытия и интервал-актов. Эдин Юсуфрамич возвращается на конкурс в четвертый раз после года отпуска. Он входил в состав штатной команды в 2015-2017 годах, а в 2015 и 2017 признавался танцором года. Даниель Койвунен входил в состав команды в 2016 и 2018 годах, признавался танцором года в 2013 и 2018. Анн Мирро и Фелисия Морис дебютировали на конкурсе в прошлом году, когда Фелисия создала запоминающийся номер Йессики Андерссон, после того как одна из ее танцовщиц заболела. Номер был подготовлен всего за несколько часов до прямого эфира, и помог Йессике попасть в финал. Анн Мирро выступала в прошлом году в номере Moncho "Cuba Libre". Мелодифестивален 2019 станет третьим годом подряд без штатного состава бэк-вокалистов. Вновь активно будут задействованы Деа Норберг, Эмели Фьяльстрём и Ларс Сафсунд, а также вернется ветеран бэк-вокального хора Бритта Бергстрём. Соскучились по ним? Микко Силвеннойнен и Криста Зигфридс станут ведущими финского шоу UMK. Представитель Финляндии будет объявлен 29 января, а само шоу UMK пройдет 2 марта. Аурелиан Темишан и Илинка Аврам станут ведущими национального румынского отбора. Известный артист и звезда телеканала TVR повторят свой опыт с международного фестиваля Golden Stag, где они провели юбилейный гала-концерт. "После нескольких участий в национальном отборе, я снова возвращаюсь на Евровидение, на этот раз в роли ведущего. Я скучал по этому событию, и мне интересно посмотреть на чувства артистов, когда я сам не буду принимать участие в конкурсе", говорит Аурелиан Темишан. "Я счастлива и для меня большая честь получить данное предложение. Евровидение - это один из самых популярных конкурсов в мире, и это большой вызов стать частью этого выдающегося события", говорит Илинка Аврам. Организаторы чешского отбора ESCZ объявили, что первые 12 баллов от членов международного жюри Сезара Сампсона и Расмуссена получила Барбора Мохова и песня True Colors. Результаты голосования будут объявляться каждый день в 20:00 и 22:00 Москвы, кроме субботы. Победитель станет известен 28 января. Порядок выступлений в полуфиналах эстонского отбора Eesti Laul был представлен сегодня на встрече участников с организаторами, прошедшей в пресс-центре ERR. Продюсер шоу Томи Рахула также рассказал, что Маарья-Лийс Илус станет гостьей 1го полуфинала. На Youtube канале TRM опубликованы песни, принимающие участие в национальном отборе Молдовы O Melodie Pentru Europa. Живые прослушивания пройдут 2го февраля в 13:00 Москвы в Студии 2 телеканала Молдова 1. Имена 10 финалистов, которые примут участие в норвежском отборе Melodi Grand Prix будут объявлены на пресс-конференции в Осло в эту пятницу 25 января в 14:30 Москвы. Ведущими пресс-конференции станут ведущие MGP Коре Магнус Берг и Хайди Рууд Эллингсен. За пресс-конференцией можно будет следить онлайн на сайте NRK. Все песни будут выпущены в 16:00 Москвы в пятницу. Имена 10 финалистов, которые примут участие в датском отборе Dansk Melodi Grand Prix будут объявлены на пресс-конференции в концертном зале DR в Копенгагене в следующий четверг 31 января в 15:00 Москвы. Ведущими пресс-конференции станут ведущие DMGP Кристиан Гинтберг и Йоханнес Нюмарк. Все участвующие песни будут представлены во время пресс-конференции и выпущены на цифровых платформах на следующий день. Надежда Матвеева стала ведущей трансляции с бекстейджа Национального отбора на Евровидение-2019. "Я очень рада стать частью команды, которая создает главный музыкальный проект страны. Четвертый год подряд интерес к Национальному отбору растет и в Украине, и за ее пределами. Это конкурс, который пробуждает в людях гордость за свою страну и демонстрирует, как много у нас талантливых артистов и хорошей музыки. Я знаю, сколько эмоций прячется за тщательно отрепетированными выступлениями участников, и хочу показать вам все секреты, которые обычно остаются за кадром. Уверена, наши включения будут очень эмоциональными! ", - делится впечатлениями Надя. "Надя невероятно позитивна, открыта, умна и вовлечена во все, что делает. Ее многолетний опыт телеведущей позволяет легко найти подход к любой звезде. Мы поможем Наде максимально погрузиться в проект, чтобы во время трансляций с бекстейджа она могла как можно больше рассказать зрителям об их любимых артистах и показать все, что не попало основное шоу", - отмечает руководитель Национального отбора на Евровидение Наталья Франчук. "В этом году у нас не будет часового перерыва. Но, как показала практика, целый час и не нужен, так как желание поддержать своего участника у зрителя возникает в первые 12-15 минут перерыва на голосование. Тогда же мы и получаем 100% голосов. Судьи уже после выступления всех артистов четко понимают, кто сегодня является их фаворитом, поэтому выставлять оценки более оперативно им также не составит труда", - комментирует изменения Наталья Франчук. Напомним, прямые эфиры Национального отбора-2019 пройдут 9, 16 (полуфиналы) и 23 февраля (финал) одновременно на телеканалах СТБ и UA: ПЕРШИЙ. Члены жюри: Джамала, Андрей Данилко и Евгений Филатов. Музыкальный продюсер Национального отбора – Руслан Квинта. Ведущий прямых эфиров – Сергей Притула. Белтелерадиокомпания начинает национальный отбор на конкурс песни "Евровидение-2019. Проект проводится Национальной государственной телерадиокомпанией Республики Беларусь (организатор) и Министерством культуры Республики Беларусь (соорганизатор). Заявки от желающих представить страну на "Евровидении" будут принимать до 31 января. В этом году заявки для участия в отборочном туре принимаются в электронном виде через сайт БТРК. Участвовать в отборе на "Евровидение" от Беларуси, как и в предыдущий год, могут граждане любой страны старше 16 лет на момент подачи заявки. От одного артиста может быть принята только одна заявка. - согласие на участие в проекте. После получения всех заявок Белтелерадиокомпания проведет прослушивания претендентов. Оно будет транслироваться в прямом онлайн-эфире на сайте БТРК. Оценивать конкурсантов будет созданная БТРК фокус-группа, состав которой будет формироваться из числа деятелей культуры и искусства, иных творческих работников, представителей организатора и соорганизатора, иных лиц предложенных на паритетной основе организатором и соорганизатором. Итоги отборочного тура подводятся членами фокус-группы 4 февраля 2019 года. Члены фокус-группы простым большинством голосов определяют десять конкурсантов (число может быть изменено) для участия в финале отбора. Финал отбора на "Евровидение", как и в предыдущие годы, пройдет в форме гала-концерта и будет показан в прямом эфире. Финал состоится не позднее 8 марта 2019 г.
В павильоне СТБ прошла церемония жеребьевки распределения по полуфиналам и порядка выступлений в украинском национальном отборе. Музыкальный продюсер Руслан Квинта объявил, кто заменит TAYANNA. Участником, получившим второй шанс, стала MARUV. "В этом году мы получили 860 песен, претендовавших на борьбу в Национальном отборе. Из него был сформирован список сильнейших, из которых мы выбрали 16 полуфиналистов. Поэтому, когда вчера оказалось, что нам придется искать замену Таянне, нам легко было найти нового участника. Это место мы отдали исполнительнице, занимавшей в нашем списке 17-ю позицию - MARUV", - прокомментировал решение команды Национального отбора Руслан Квинта. Ивана Попович Мартинович исполнит на черногорском отборе песню "Nevinost". Она рассказывает о молодых людях, которые борются с вызовами современного мира. Музыку написал Славко Милованович, текст - сама певица, а аранжировку подготовили Владан Попович- Поп и Марко Милатович. Если она одержит победу на Монтевизии, то хотела бы выступить в Европе на черногорском языке, чтобы сохранить аутентичность песни, поскольку у каждого языка есть свои эмоции. "Мне не хватает того времени, когда участники все пели на своих языках, это показывало настоящий шарм Европы", говорит Ивана. Ее песня посвящена молодым людям, которые, несмотря на все вызовы и непредсказуемость мира, продолжают бороться за правду и справедливость. "Это песня о героях наших дней, борцах за справедливость, о чистоте человеческой души", рассказывает Ивана. За костюмы в номере будет отвечать Марина Банович. РТЦГ пригласило известного режиссера Дарко Камарита поработать над шоу национального отбора Монтевизия. Он имеет многолетний опыт в подобных проектах. "Я был одним из основателей Беовизии, исполнительным продюсером Евровидения 2008, был с Марией в Хельсинки... Три фестиваля Будва... Музыка - это моя жизнь", говорит Камарит. Его опыт поможет воплотить в жизнь идеи пяти артистов, которые уже работают над своими сценическими номерами. "Друзья, приветствую! У меня для вас важное сообщение. Вчера вечером я приняла очень непростое, но осознанное для себя решение. Я не буду участвовать в Национальном отборе на Евровидение. Верю, что так будет лучше для всех. Надеюсь, что вы отнесетесь к этому с уважением и пониманием. Иногда вселенная не дает тебе чего-то не потому, что ты этого не заслуживаешь, а потому, что ты заслуживаешь чего-то другого. Чтобы это подтвердить, я чувствую, что именно сейчас я должна сделать этот выбор. Я уверена, что найдутся артисты, которые не попали в перечень участников, но которым билет в Израиль нужнее, чем мне. А еще со временем я все же поняла, что главное соревнование в жизни творческого человека - это соревнование с самим собой. Одержать победу в нем можно только при одном условии - быть искренним с собой и иметь силу принимать непростые решения. Я уважаю и люблю всю нашу команду, которая верит в меня и все это время делала все, чтобы мы достигли этой амбициозной цели. Но я говорю Нет. Достаточно. Сейчас я погружаюсь в то, что меня действительно захватывает - запись нового альбома и подготовку к сольному концерту. Я благодарна всем за поддержку все это время. Для меня это очень важно и это меня вдохновляет. В состав полуфинального жюри латвийского отбора Supernova войдут музыкальный редактор радио 5 - Pieci.lv DJ Rudd, исполнители Линда Лин и Ральфс Эйландс, а также программный продюсер радио SWH Артис Дварионас. Ральфс Эйландс, который в 2013 году выступал на сцене Евровидения в составе группы PeR говорит, что он пока не слушал конкурсных песен, и потому самым важным критерием для него будет первое впечатление. Он уже дважды входил в состав жюри Латвии в международных финалах Евровидения. В свою очередь, Артис Дварионас признает, что песня без обрамления в таком конкурсе будет беспомощной, вне зависимости от того, насколько она хороша. "Выступление всегда является критическим фактором. Искренность, динамизм, какие-то необычные моменты, современные технические элементы в постановке номера являются ключом к успеху на этом конкурсе". Предлагаем вашему вниманию репортаж телеканала Keshet о сцене Евровидения 2019 и интервью с ее дизайнером Флорианом Видером. Как объяснил Видер, в ней задействованы мотивы Звезды Давида и 12 колен Израилевых. Дополнительная информация Страница организации конкурса. Объявлена дата проведения Лондонской вечеринки Евровидения London Eurovision - воскресенье, 14 апреля. Подчеркивается, что дата является предварительной, и зависит от окончательного решения правительства Великобритании по Брекситу, что может затруднить въезд артистов в страну. Напомним, что голландская Eurovision In Concert пройдет 6 апреля, а испанская Eurovision-Spain Pre-Party - 20 апреля. Вечеринка Israel Calling в этом году будет инкорпорирована в мероприятия Евронедели конкурса. Даты проведения рижской Eurovision PreParty Riga и Российской Пре-Пати Евровидения пока не объявлены. Ошер Битон покидает израильский отбор Hakokhav Haba после 26го шоу. В конкурсе остаются 10 участников. В состав жюри полуфиналов румынского национального отбора вошли: певец и композитор Adi Cristescu, автор песен и певец Mihai Georgescu (Miţă), певица и педагог по вокалу Crina Mardare, композитор и DJ Andy Platon и певец Mugurel Vrabete. Национальное жюри определит по пять победителей каждого из полуфиналов. Еще двух финалистов добавят зрители посредством телеголосования. В финале вместо национального жюри будет работать международная панель экспертов. Телекомпания AVROTROS объявила, что Дункан Лоуренс (также известный, как Дункан де Мор) представит Нидерланды на конкурсе Евровидение в Тель-Авиве. Генеральный директор AVROTROS и член отборочного комитета Эрик ван Стаде говорит: "Нас просто снесла эта песня. Она настолько мощная, что мы единогласно проголосовали за Дункана"
Дункан Лоуренс родился в 1994 году в Спейкениссе, Нидерланды. В этом году он окончил Рок-академию в Тилбурге. Здесь он развивался как певец, автор песен и музыкальный продюсер. Кроме того, он потратил много времени на написание песен в Лондоне и Стокгольме. Дункан говорит: "В последние несколько лет многие известные артисты представляли Нидерланды на конкурсе Евровидение. Я не очень известен, но это тоже хорошо; В Нидерландах много молодых и талантливых музыкантов. Мое участие доказывает, что нет ничего невозможного. Вы можете внезапно получить возможность представлять свою страну на международной арене. Я очень горжусь тем, что представляю свою страну ... Я сделаю все от меня зависящее!" Внимание отборочной комиссии на песню Дункана обратила солистка The Common Linnets Илзе Де Ланге: "Дункан - особенный исполнитель. Его песни очень интернациональны и аутентичны. У Дункана есть личность, необходимая для такой большой возможности, как эта. Для него музыка всегда на первом месте". Все подробности о голландской заявке будут официально объявлены в четверг, 7 марта. 26 исполнителей примут участие в живых прослушиваниях молдавского национального отбора. Сегодня организационный комитет проверил заявки поданные участниками отбора. Один из них подал неполную заявку, а второй был исключен из отбора за то, что текст его песни содержал элементы, призывающие к ненависти и нетолерантности, что нарушает правила конкурса. Таким образом, из 28 - 26 артистов были приглашены на прослушивания. Прослушивания пройдут 2го февраля в 13:00 Москвы в Студии 2 телеканала Молдова 1. Профессиональное жюри оценит вокальные возможности участников. Прослушивания будут показаны в прямом эфире онлайн на сайте TRM. В данной стадии артистам не обязательно использовать сценические костюмы или шоу элементы: критерии оценки - оригинальность песен, мелодическая линия и живое вокальное исполнение. Каждому участнику будет дано необходимое время для настройки звука. Жюри даст участникам баллы по шкале от 0 до 12. В самое ближайшее время будут опубликованы аудио-версии участвующих песен. Португальский вещатель RTP представил детали Festival da Canção 2019. Ведущими шоу станут Tânia Ribas de Oliveira & Sónia Araújo (Полуфинал 1), Jorge Gabriel & José Carlos Malato (Полуфинал 2) и Filomena Cautela & Vasco Palmeirim (Финал). Inês Lopes Gonçalves вновь будет ведущей в гринруме. Финальное шоу пройдет в Portimão Arena в Портимау. Серхат вновь представит Республику Сан-Марино на Евровидении 2019. Об этом только что заявил вещатель RTV San Marino на специальной пресс-конференции с участием генерального директора телеканала Карло Ромео и главы делегации Алессандро Капиккьони. Они подчеркнули, что решение в этом году было принято на основе проекта, предложенного выбранным артистом. На пресс-конференции было зачитано послание от члена организационной группы Евровидения в Израиле Тали Эшколи, которая пожелала удачи конкурсанту, с которым она давно знакома по его участию в прошлые годы. "Мы подготовили песню с очень сильным посылом миру", заявил Серхат. Презентация песни пройдет в конце февраля, возможно в рамках специального мероприятия.